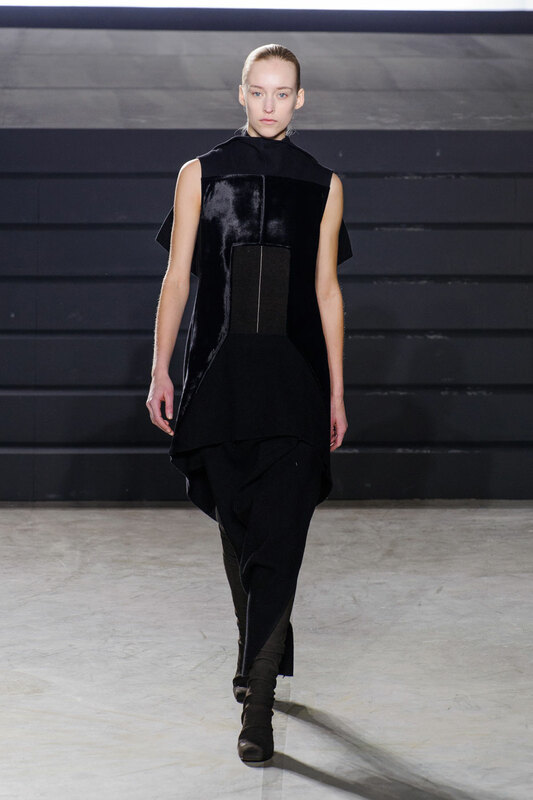 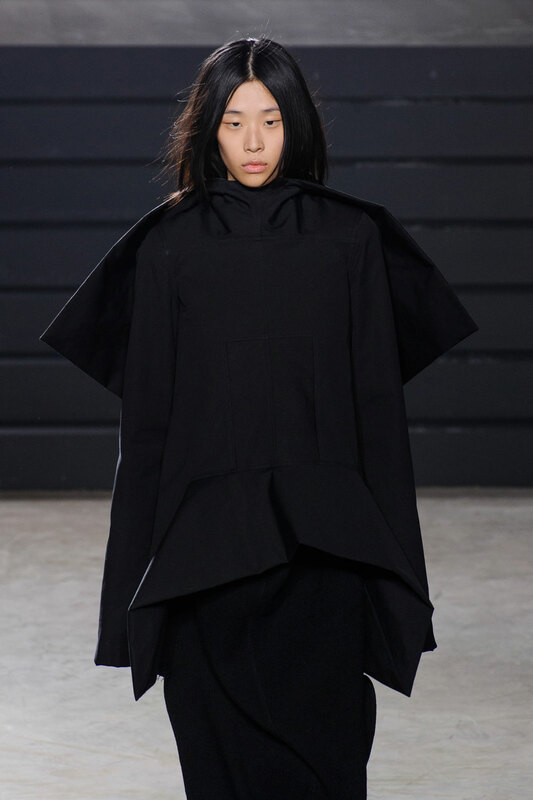 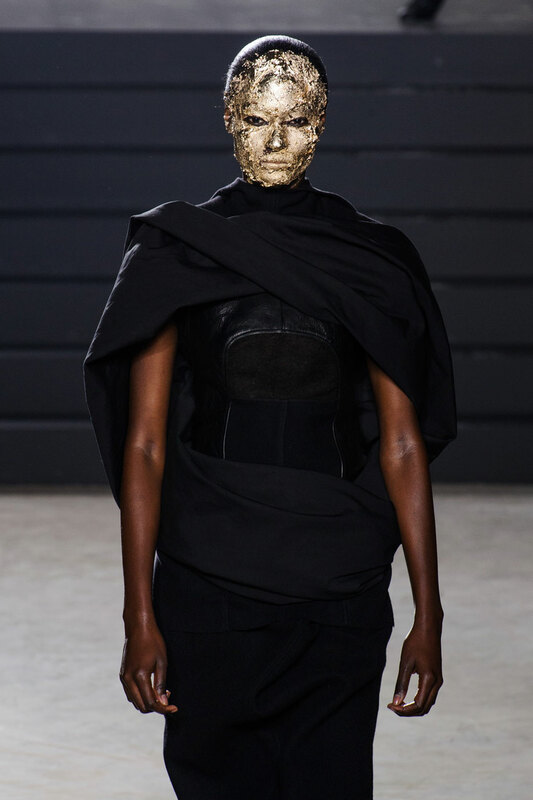 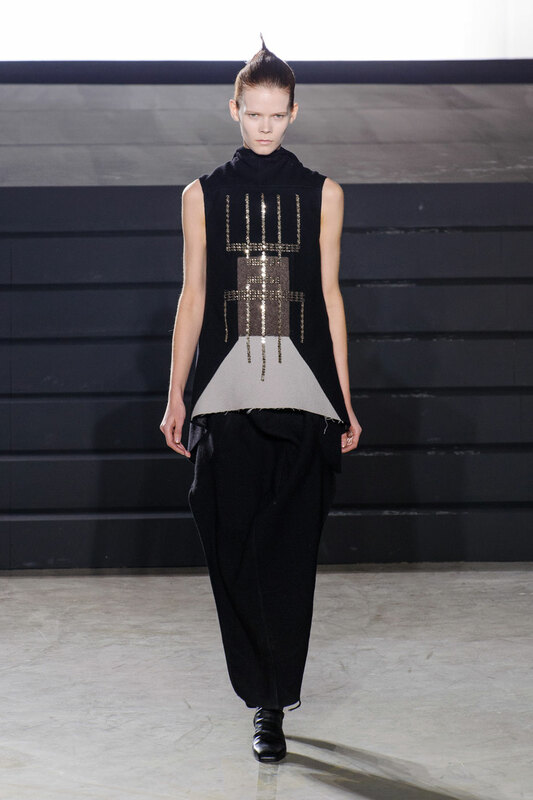 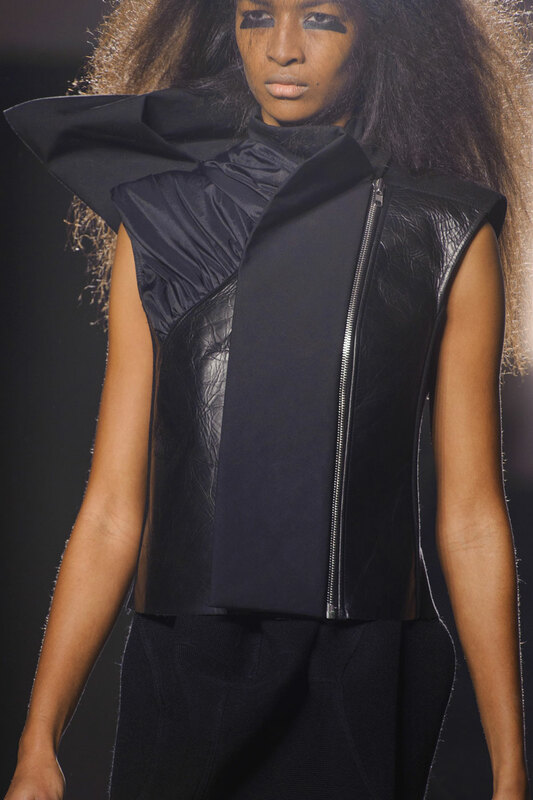 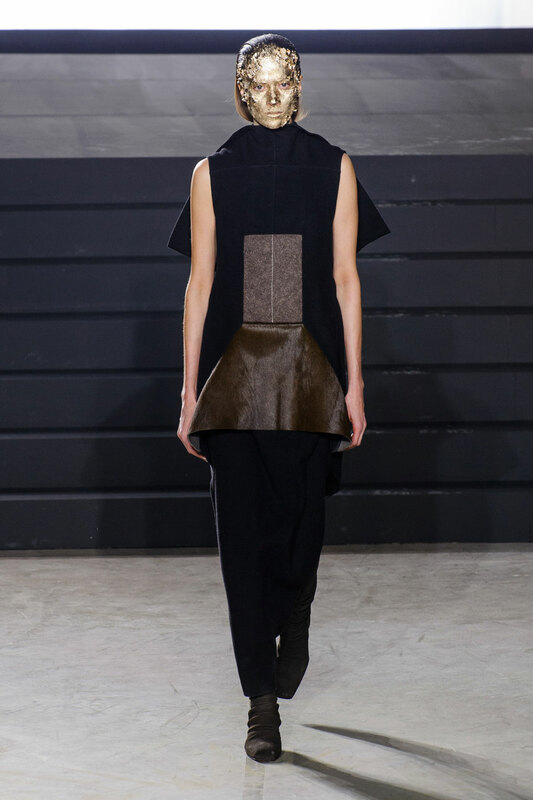 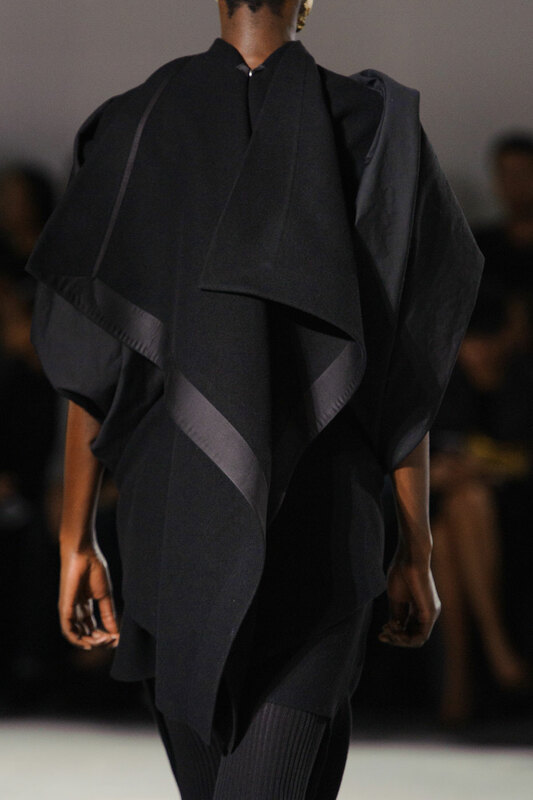 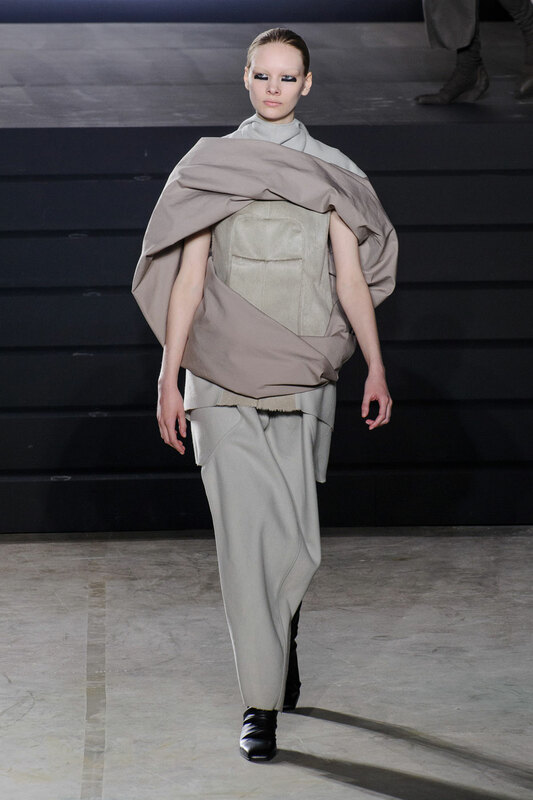 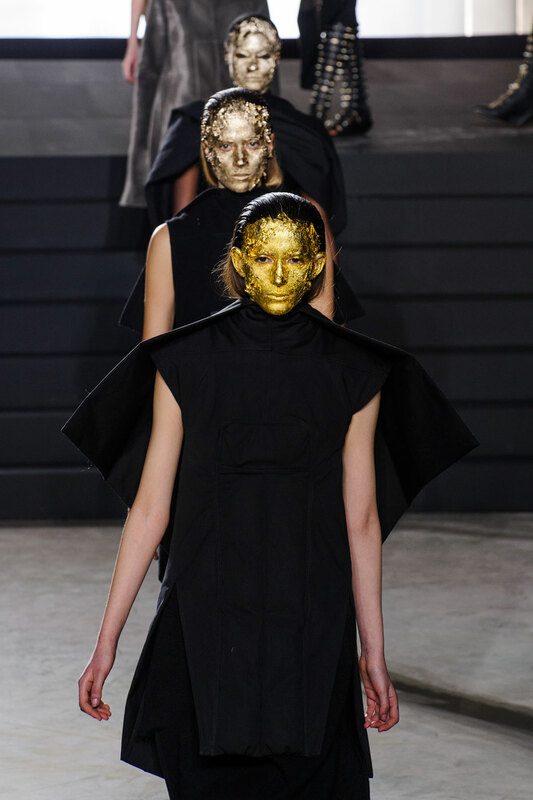 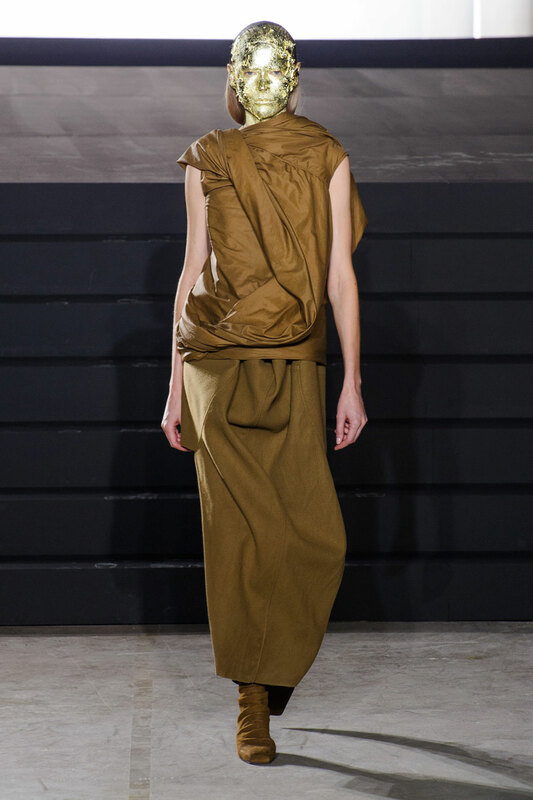 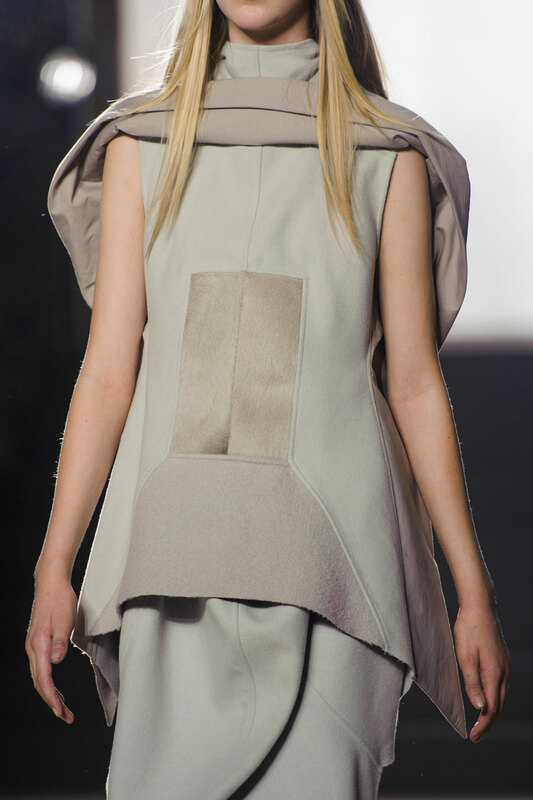 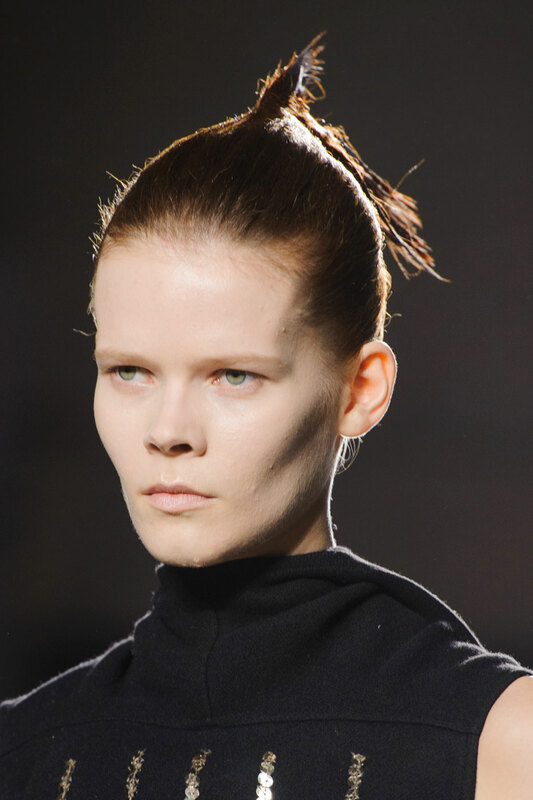 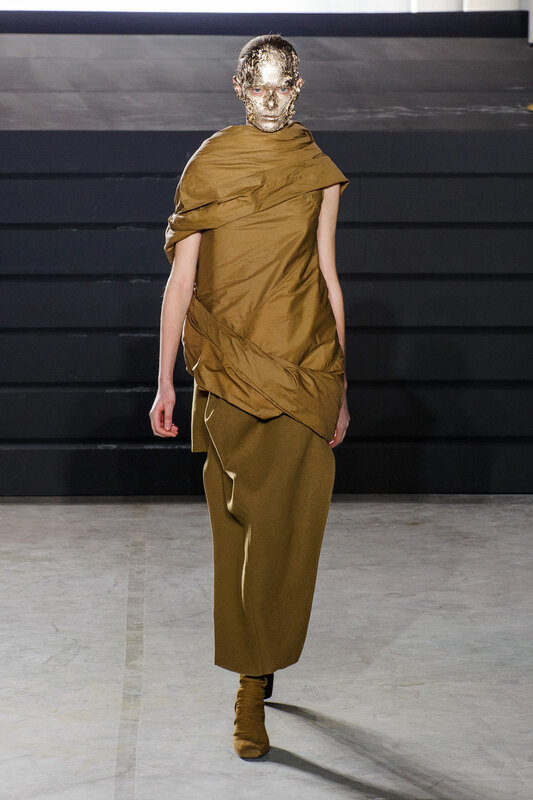 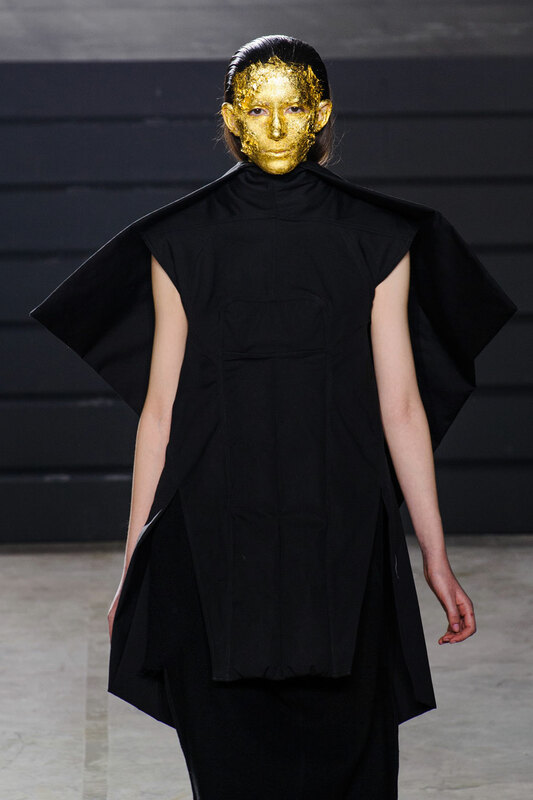 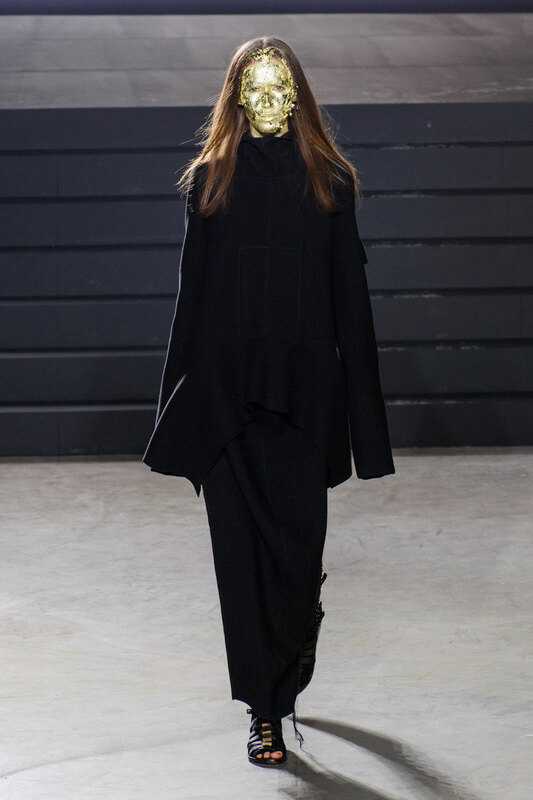 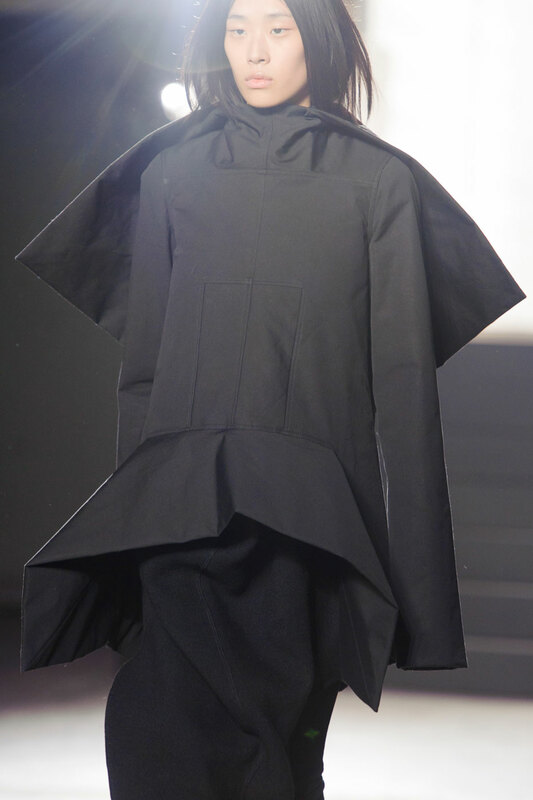 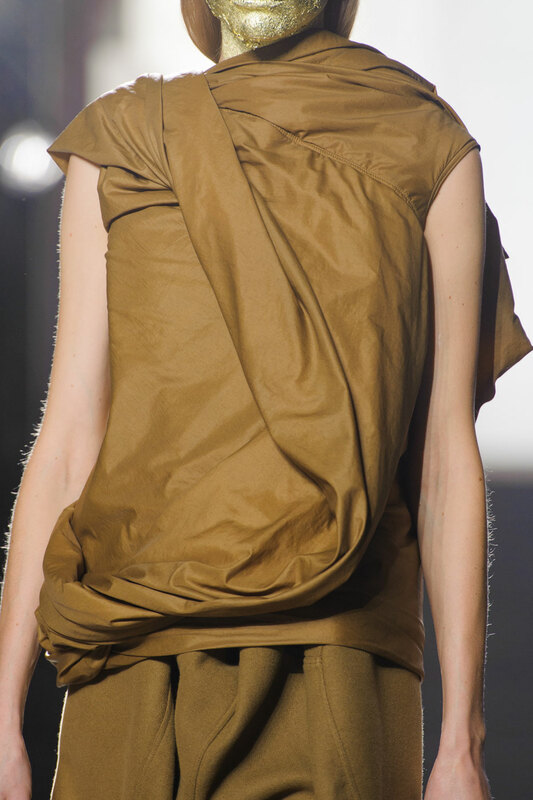 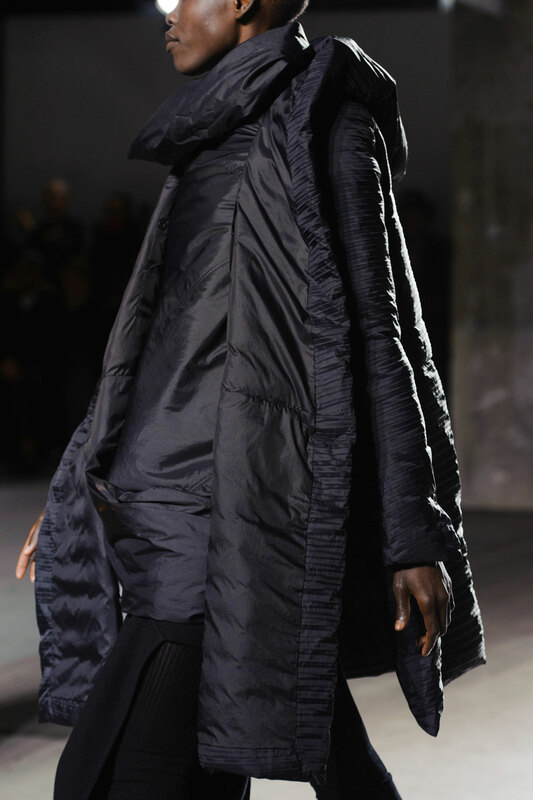 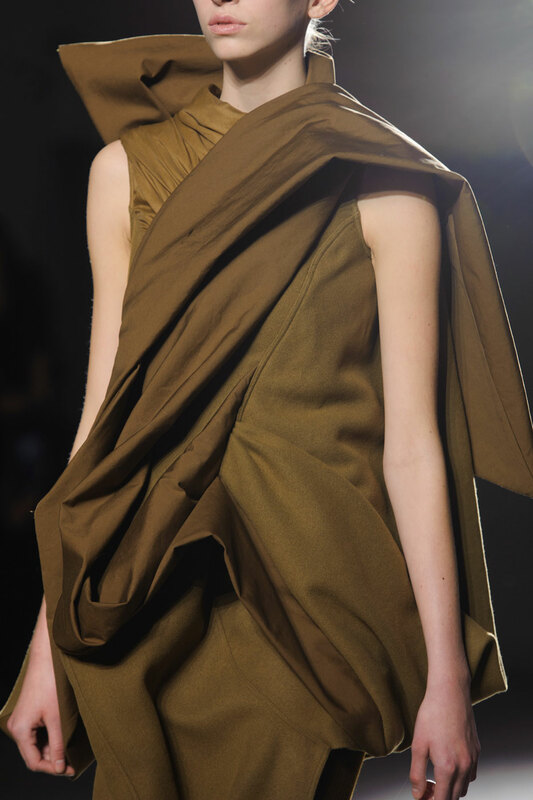 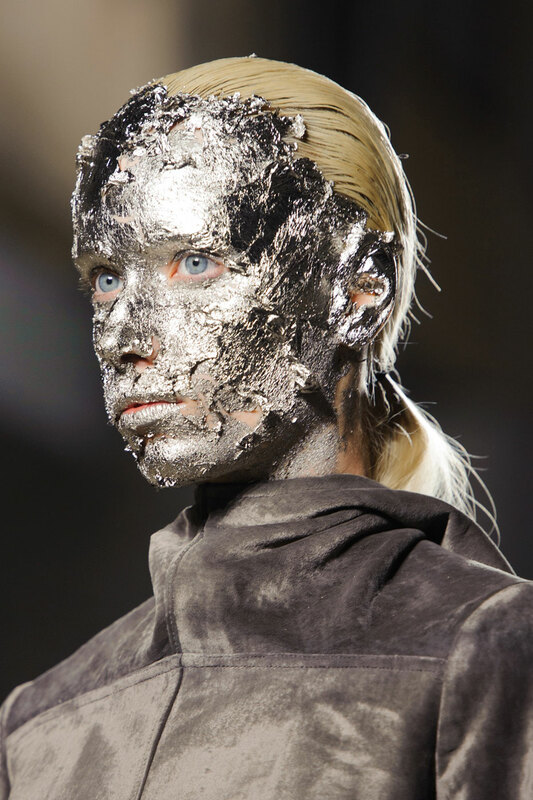 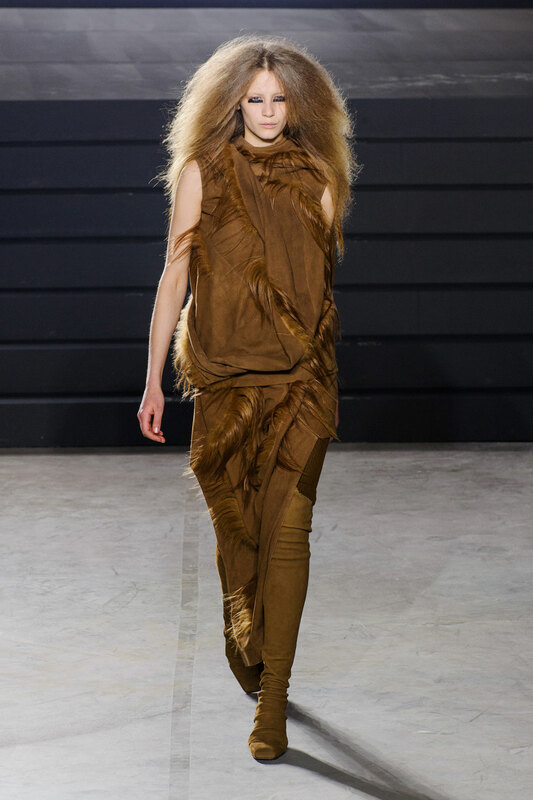 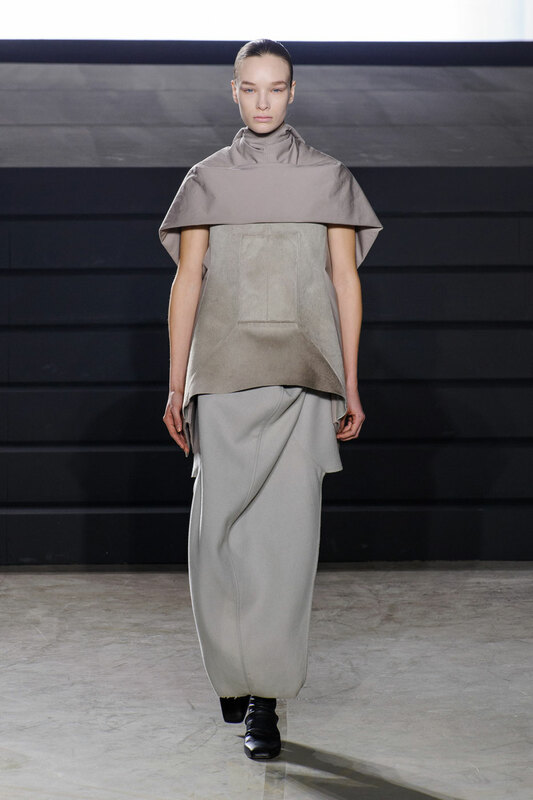 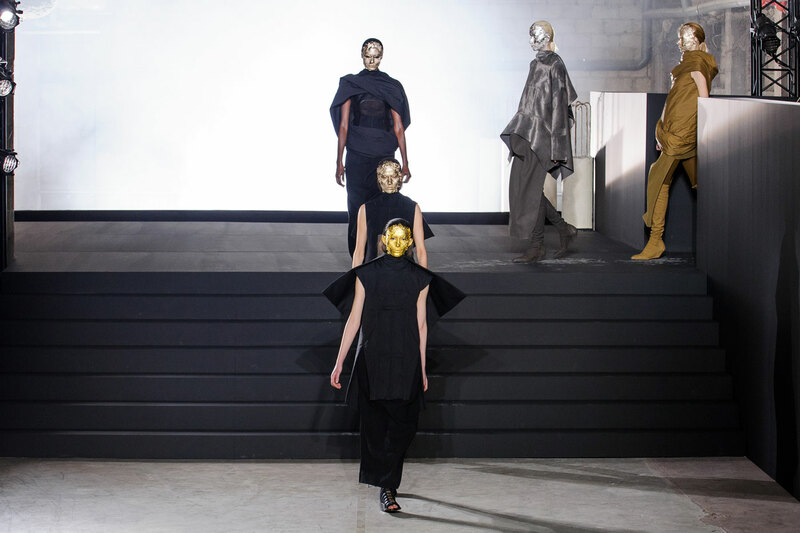 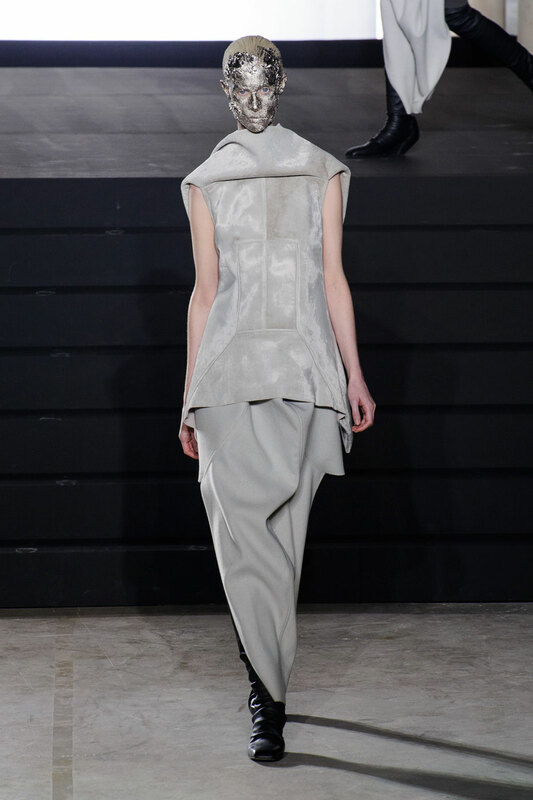 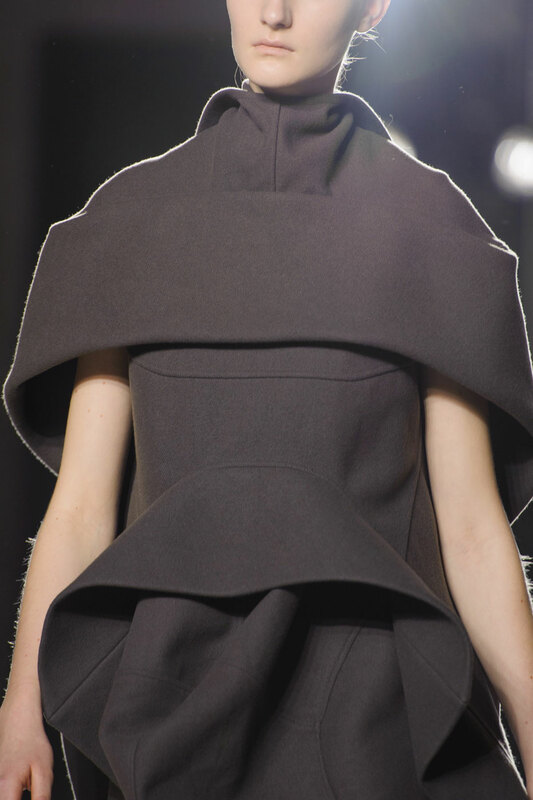 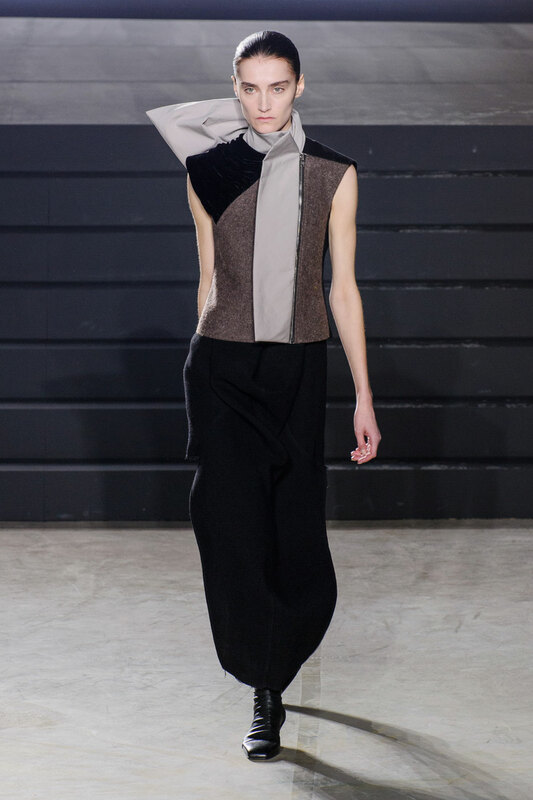 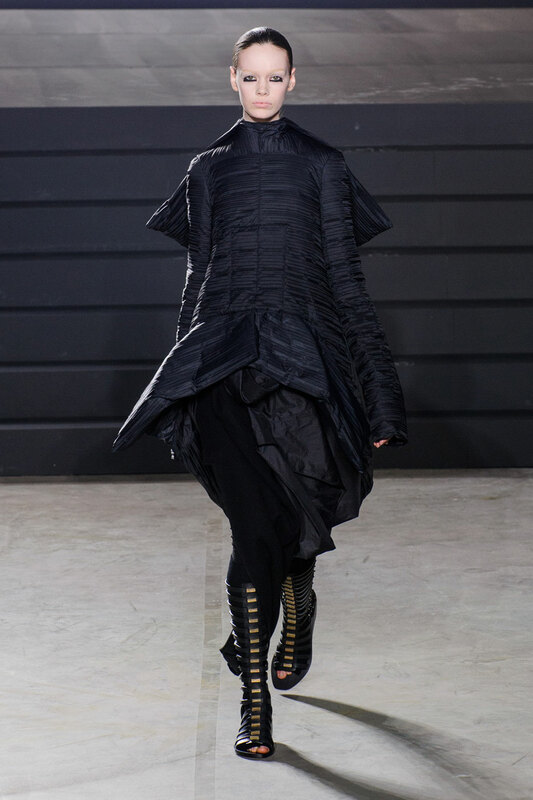 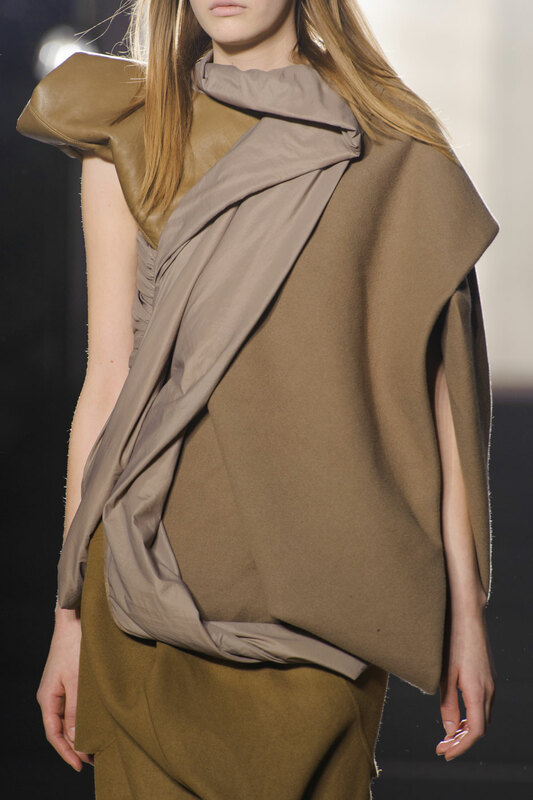 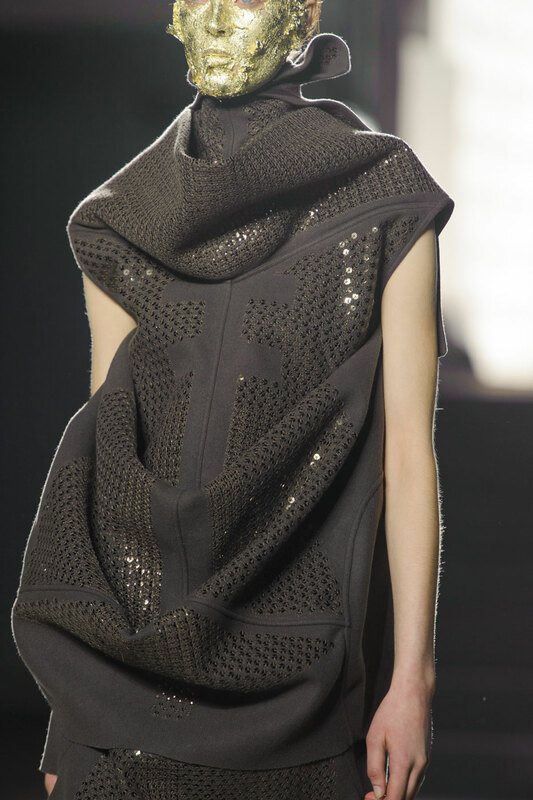 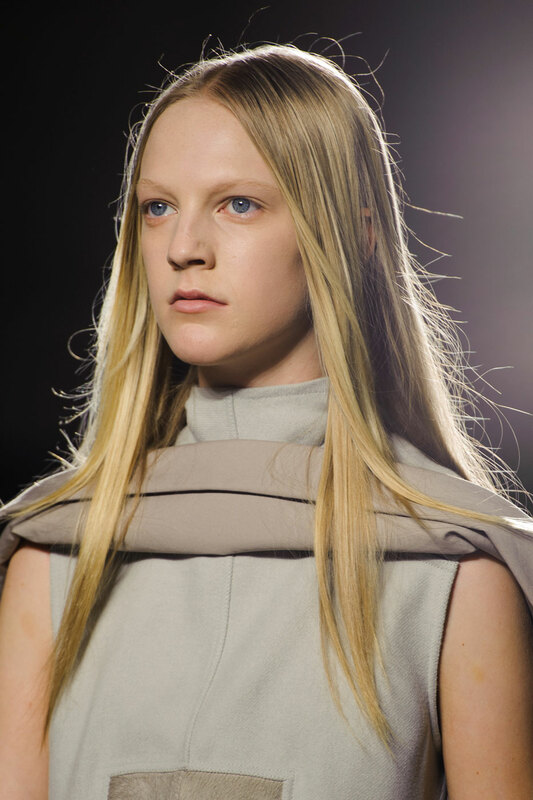 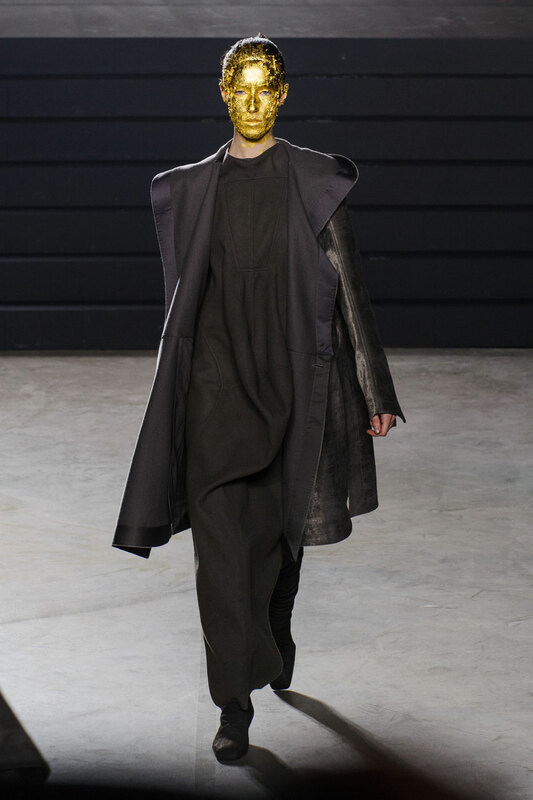 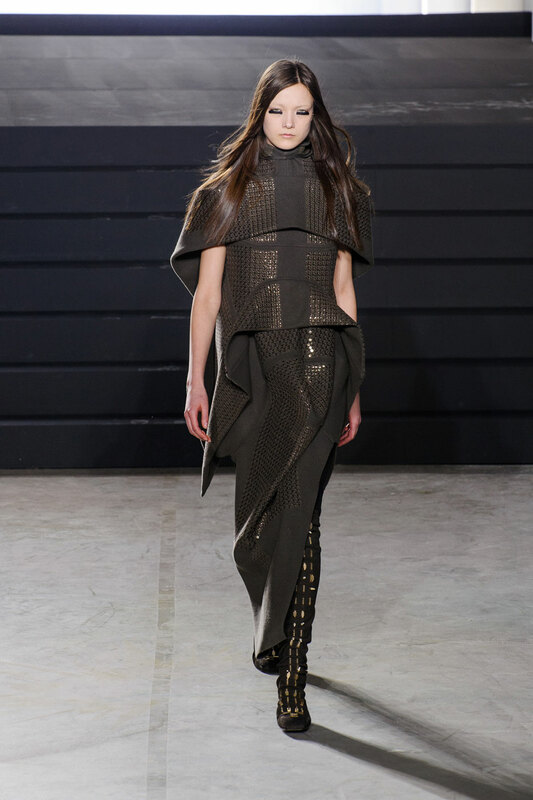 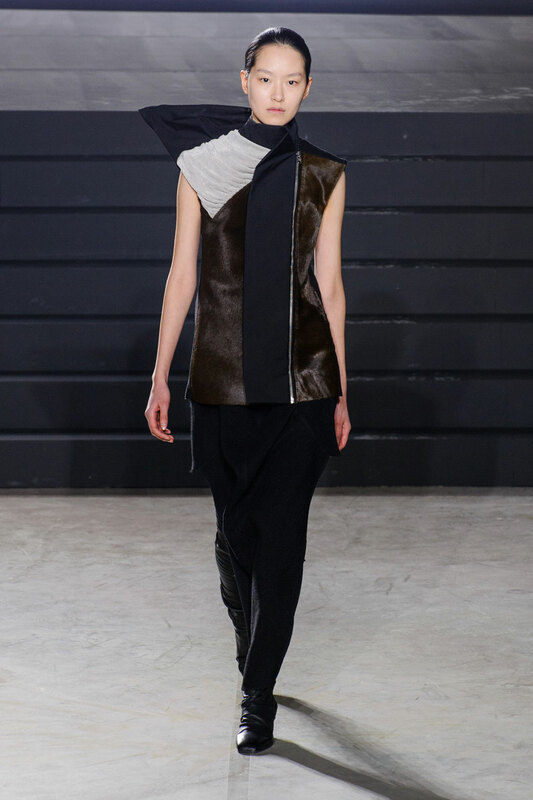 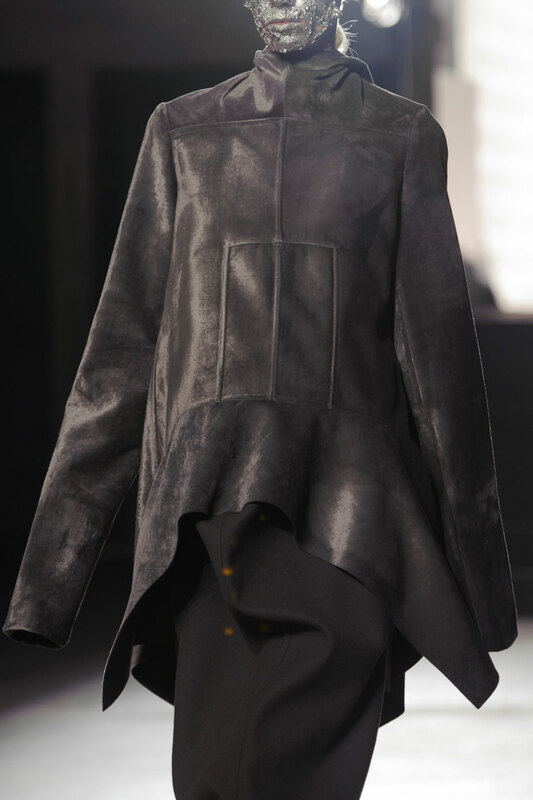 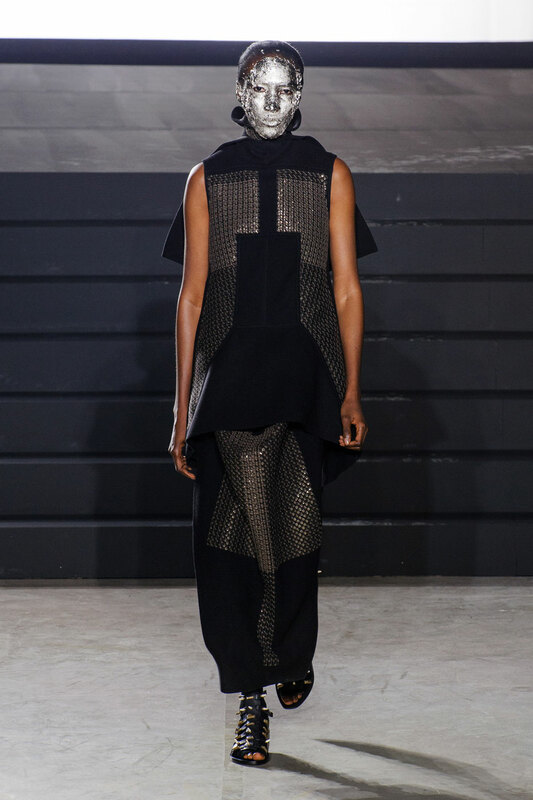 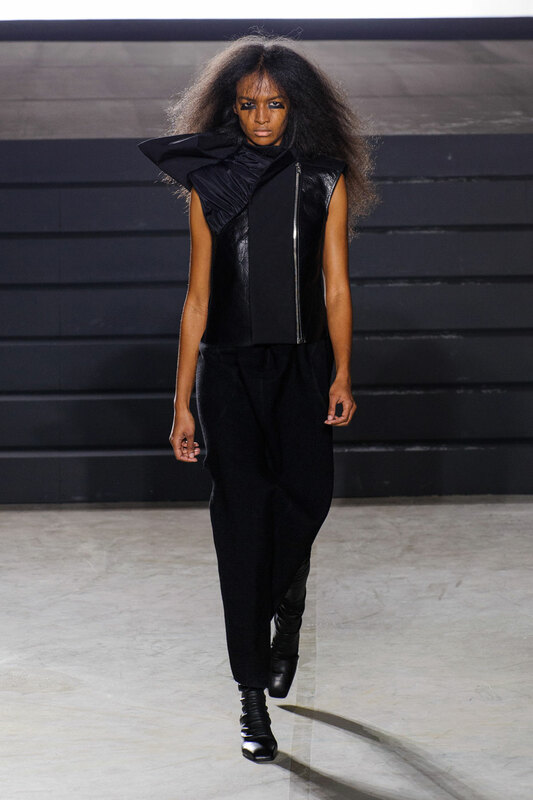 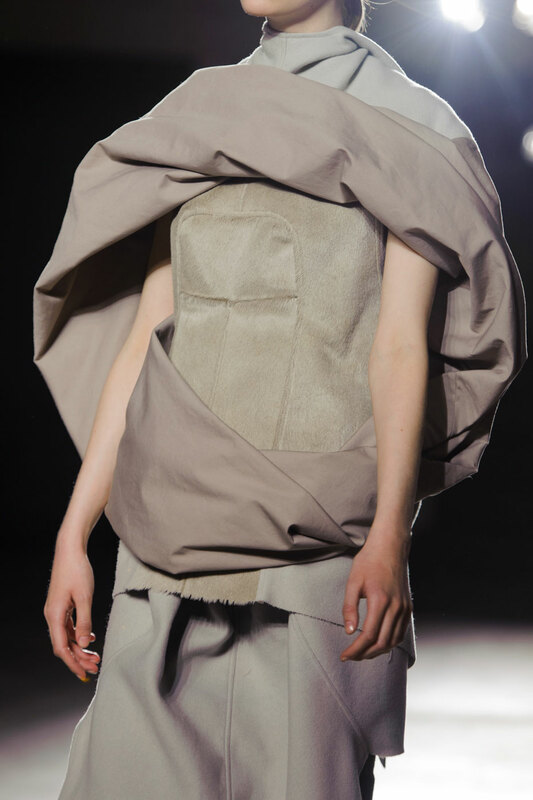 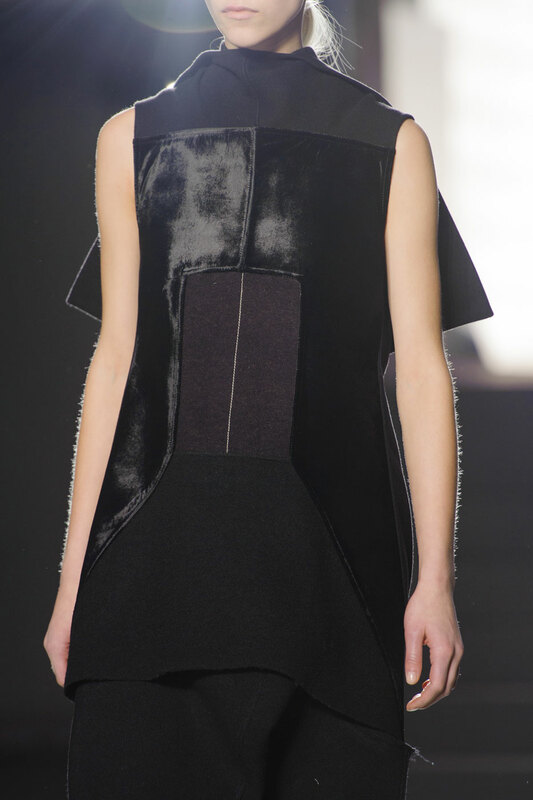 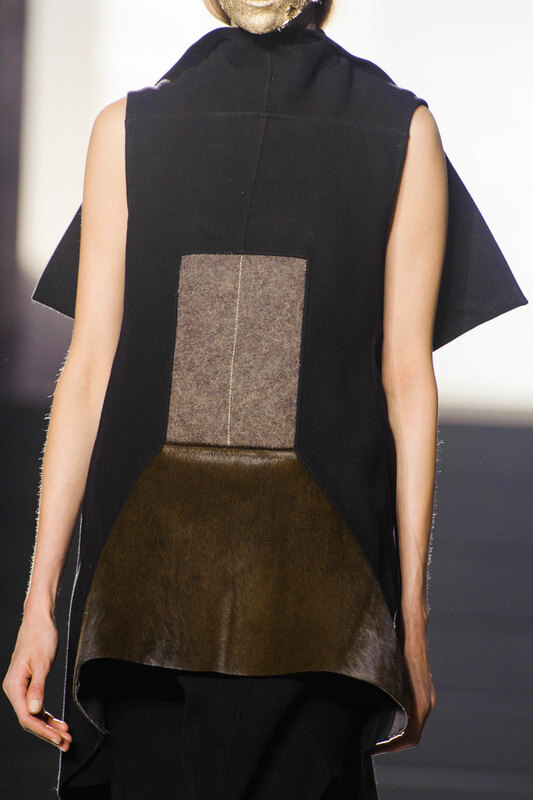 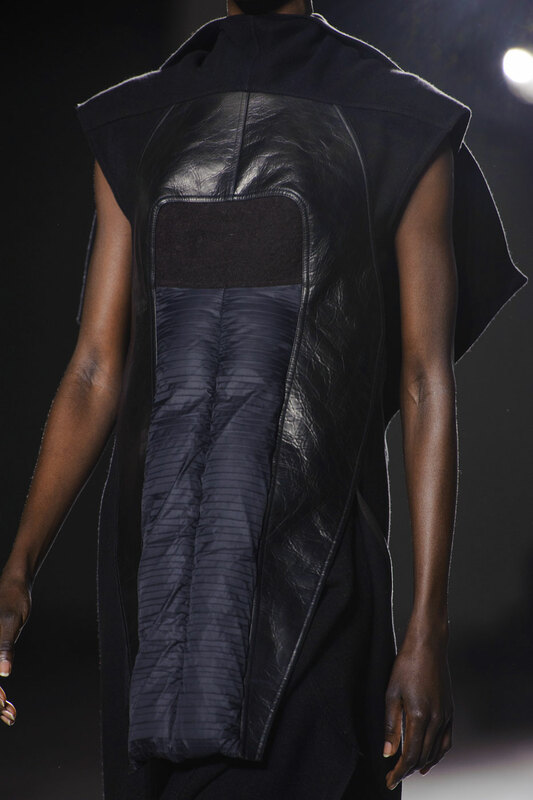 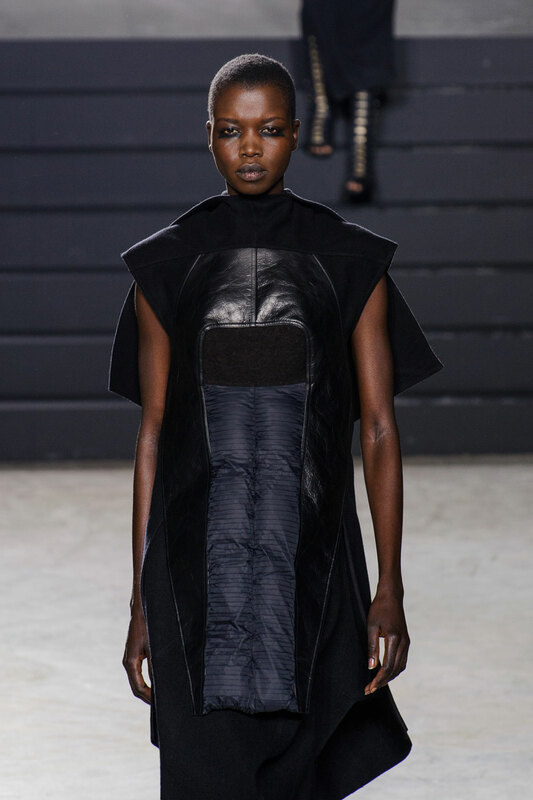 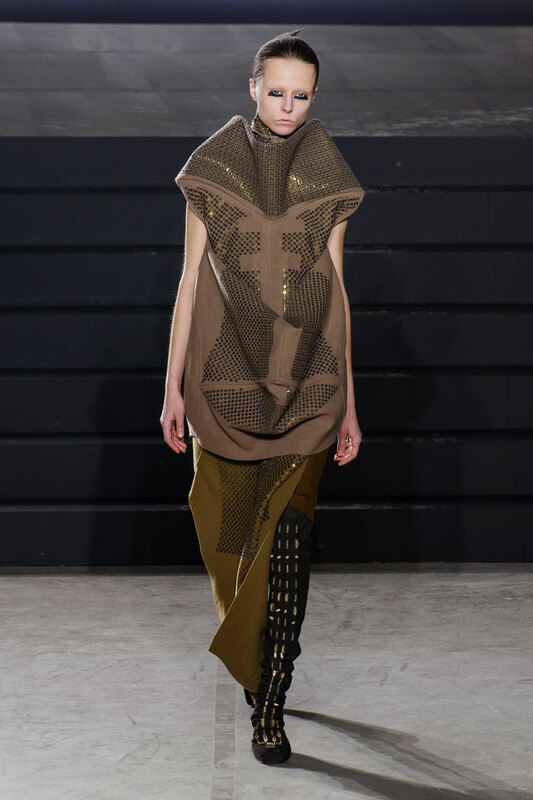 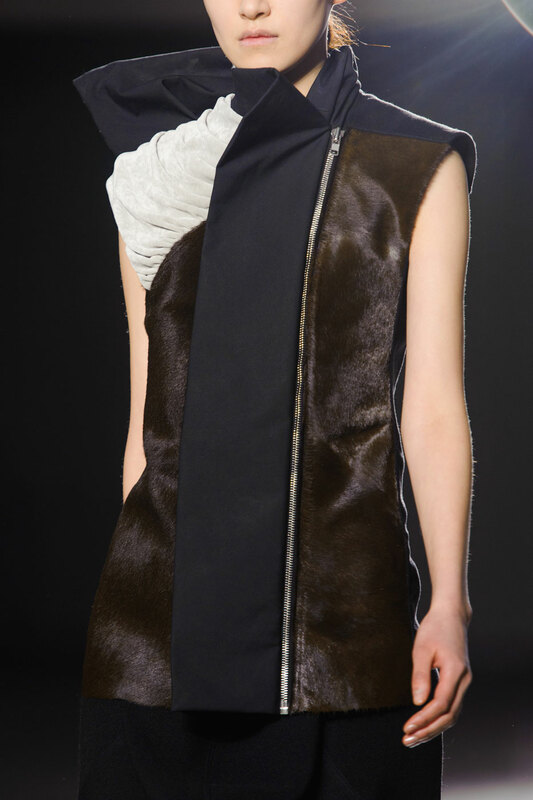 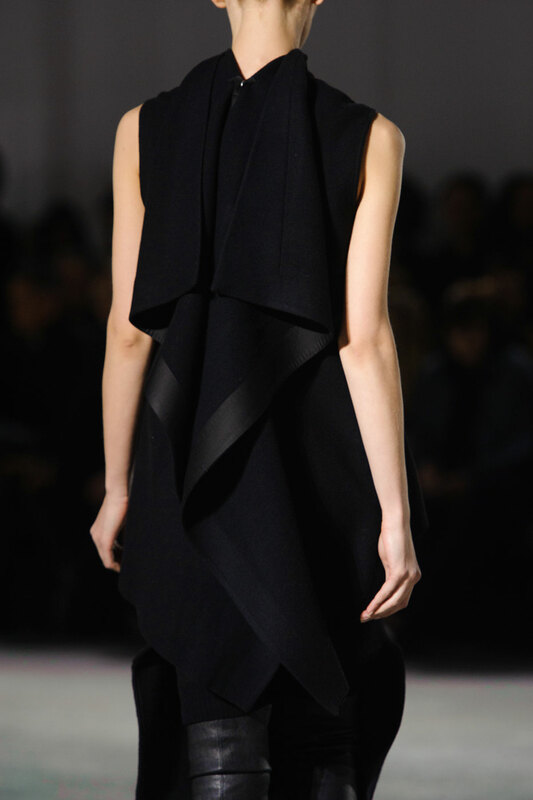 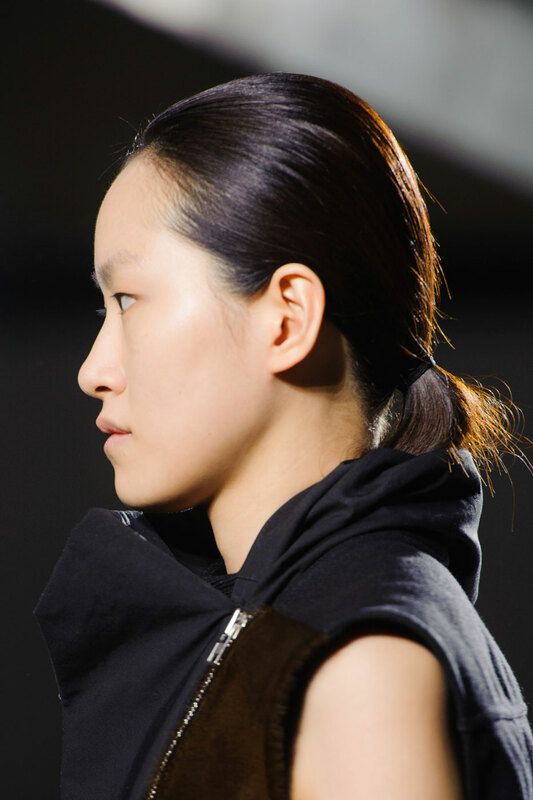 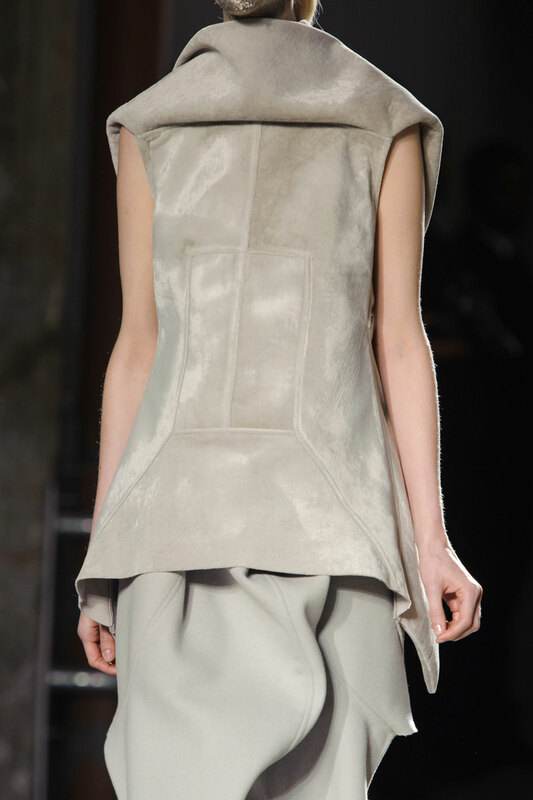 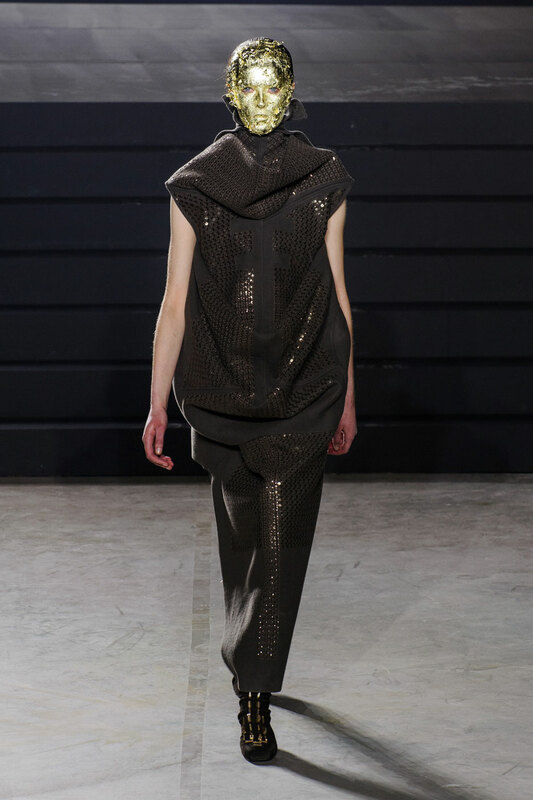 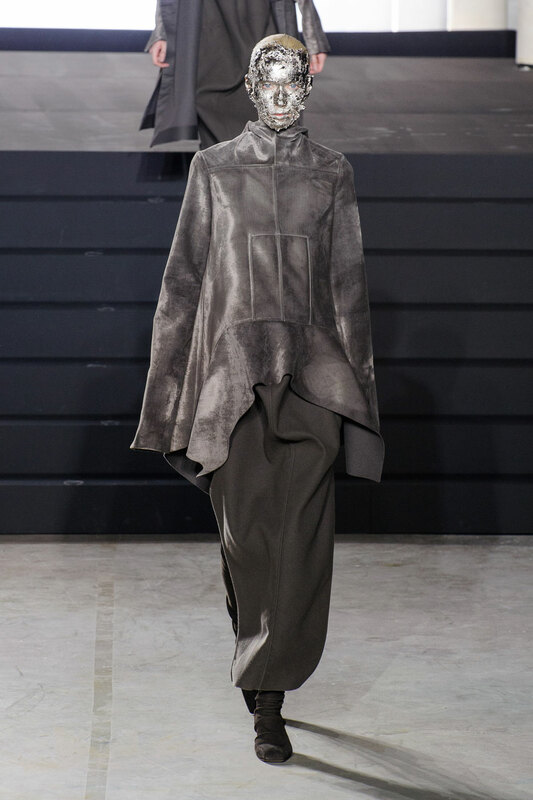 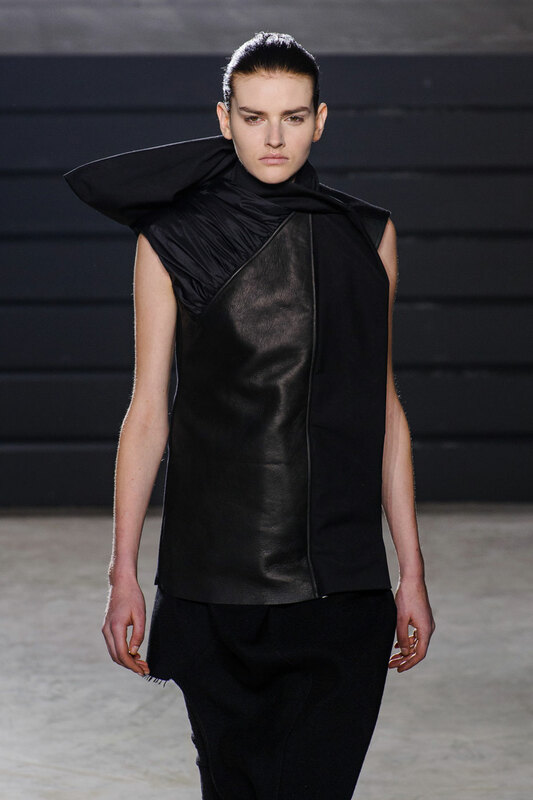 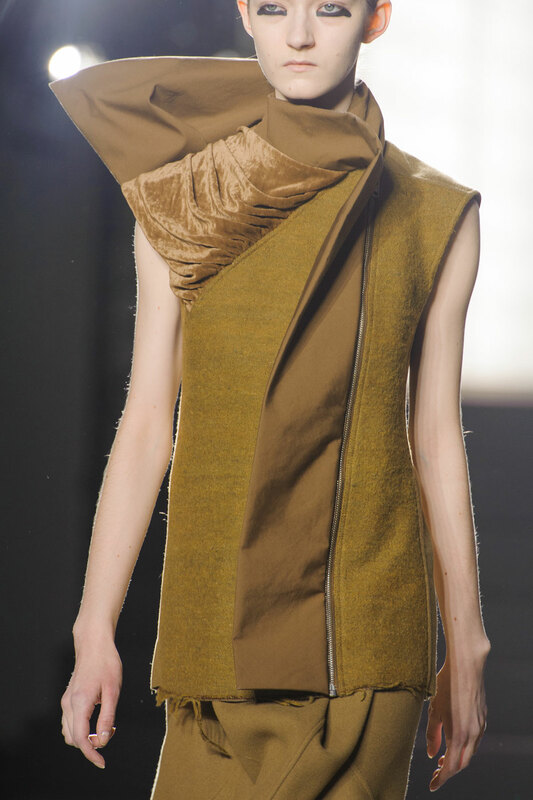 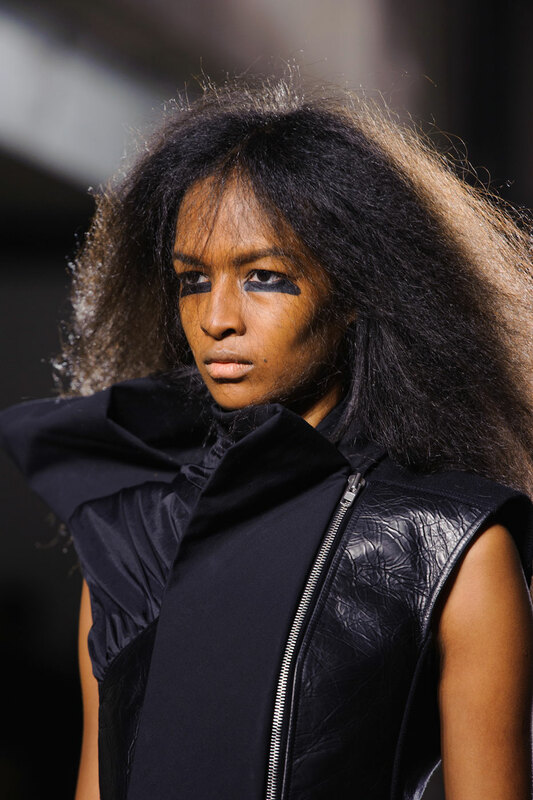 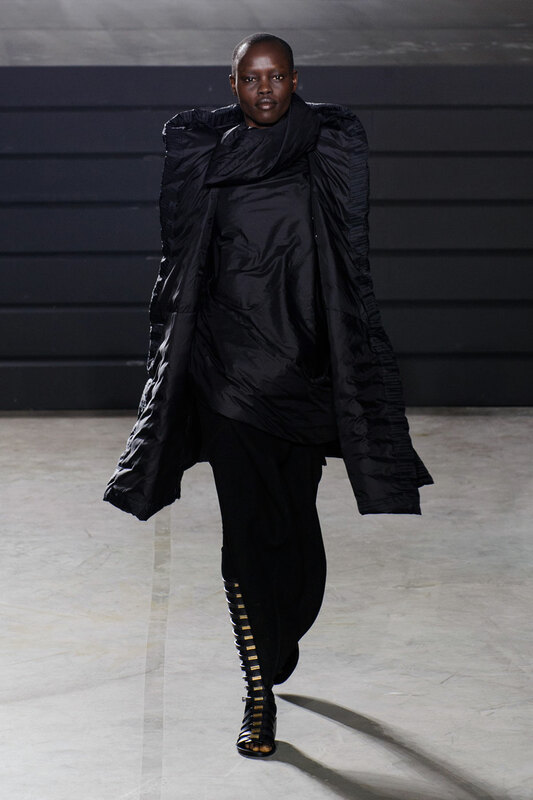 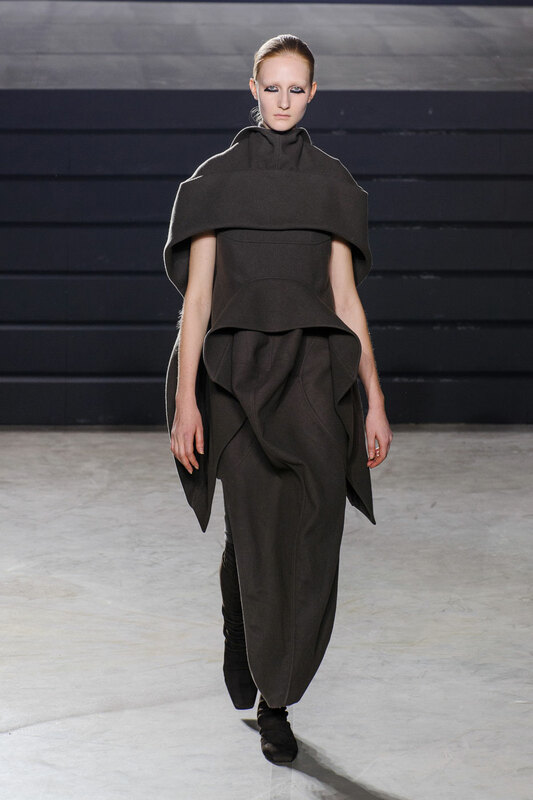 Rick Owens Women Autumn-Winter 2015 – Rick Owens is a man who likes to shock people with his runway, and with the follow up of his recent Menswear collection (during which many of the models were exposed) eyes were anxiously on him to see how he could possibly top it. 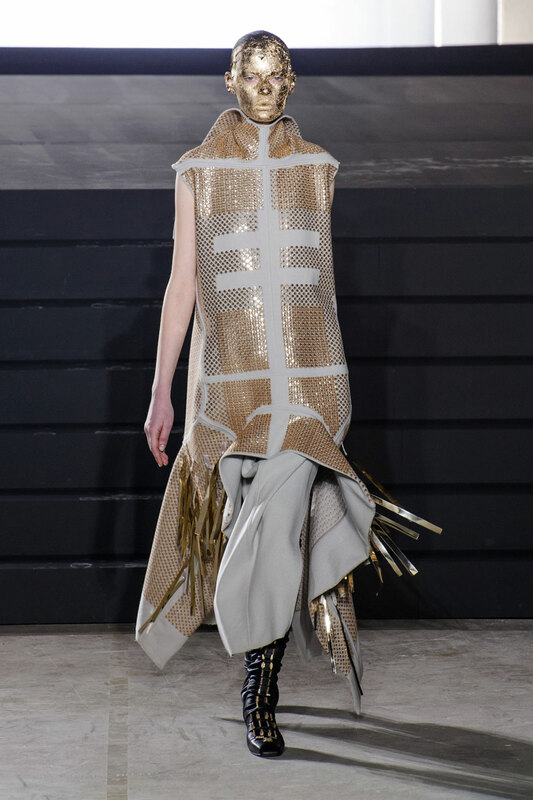 As a surprise to many, Owens went in the opposite direction and toned down the shock value and created a collection that women could possibly relate to on a profoundly feminine level, with the use of sequins. 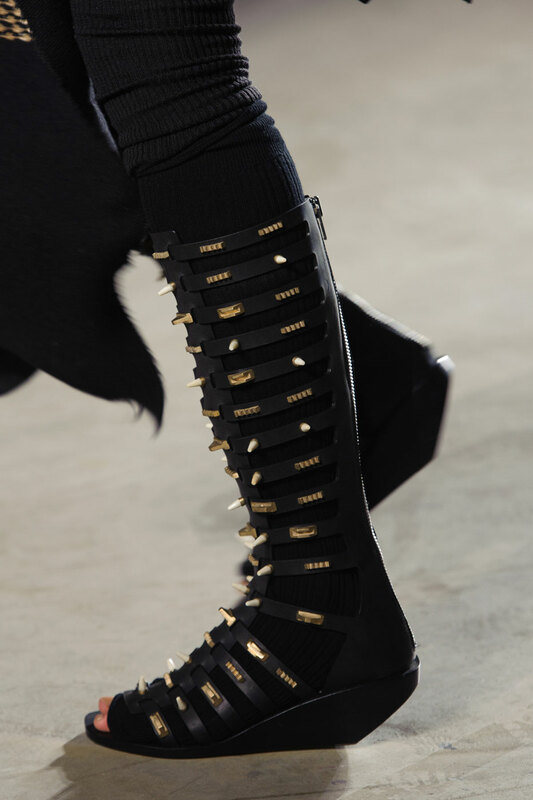 A detail that comes as a first for Owens. 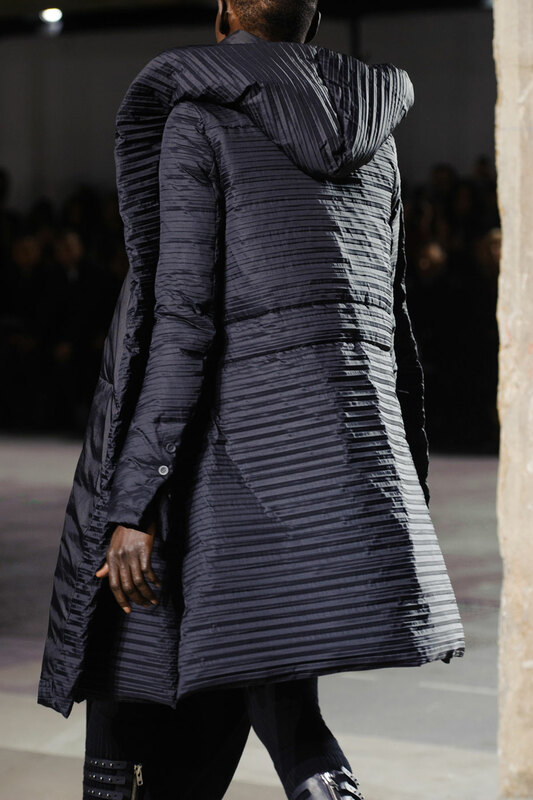 He gave us a lesson in the art of wrapping. 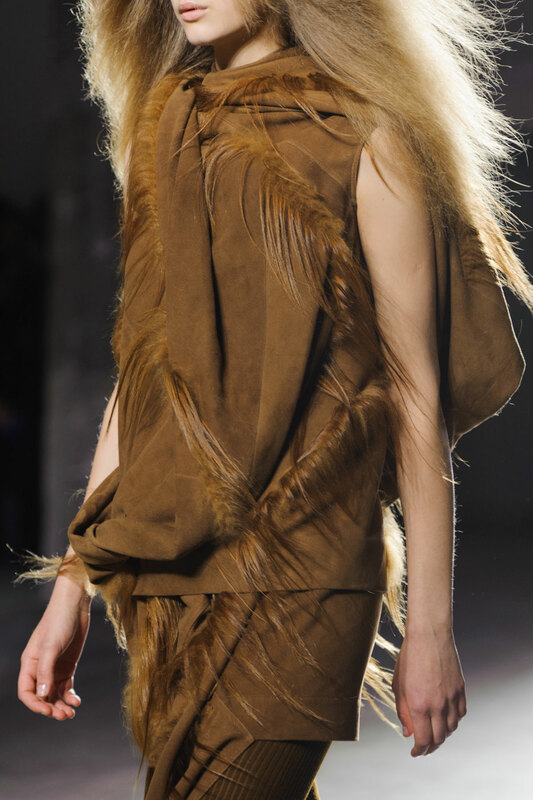 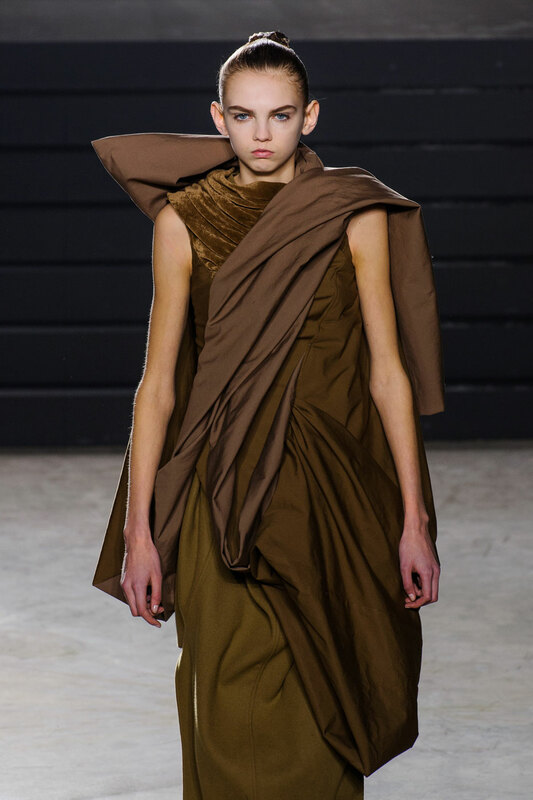 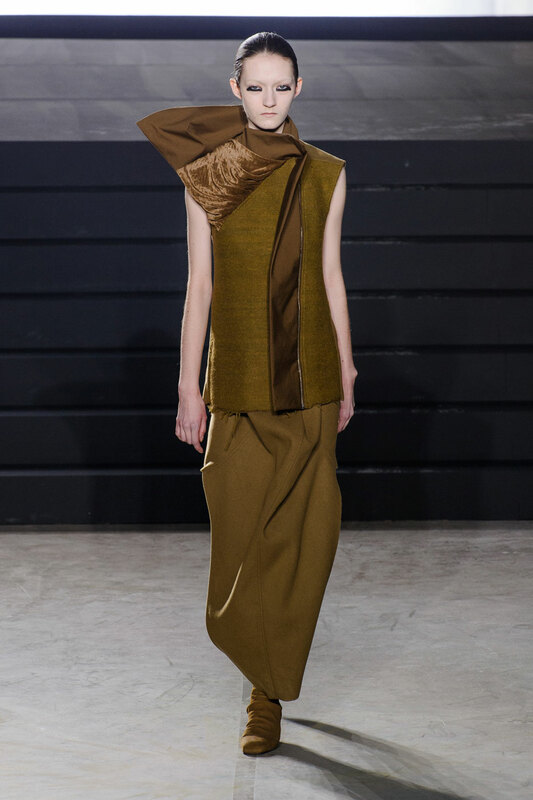 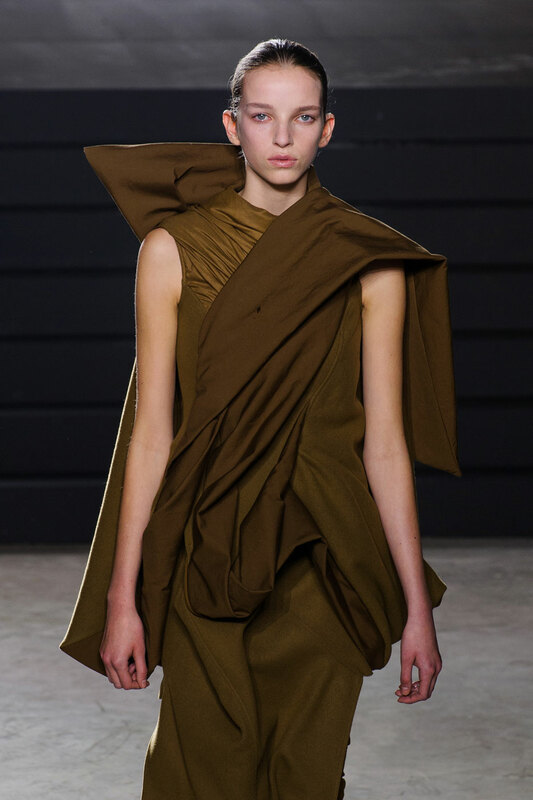 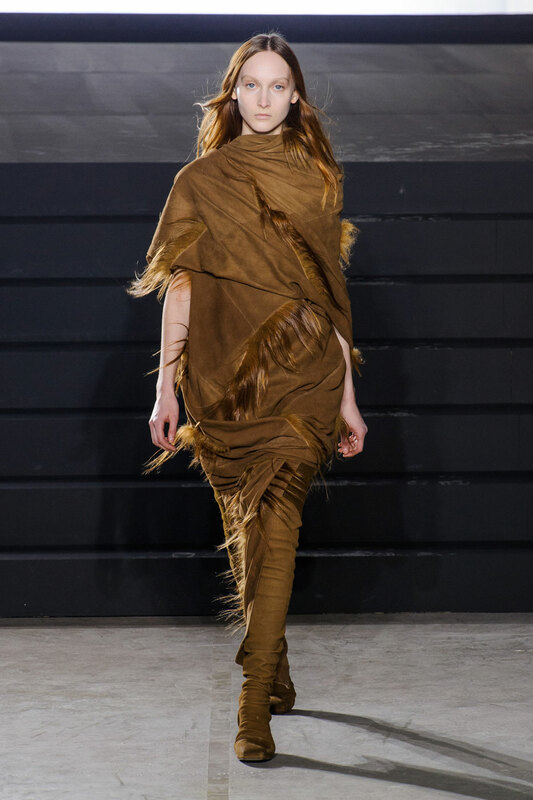 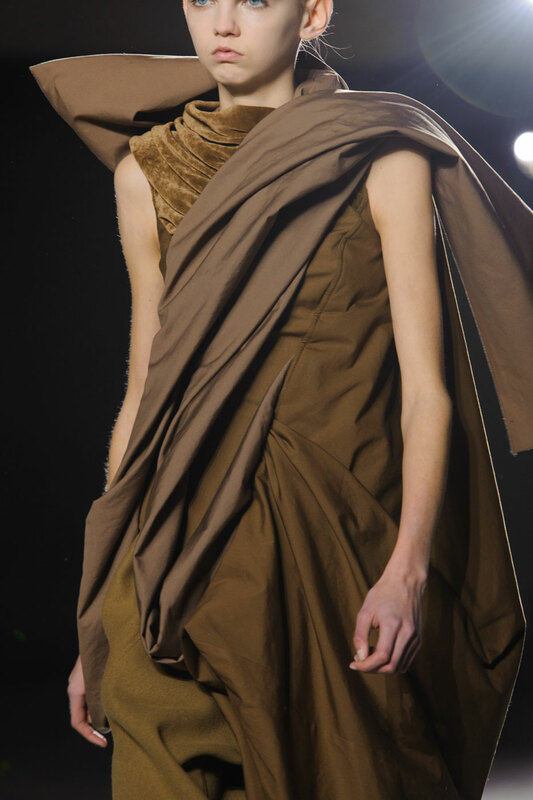 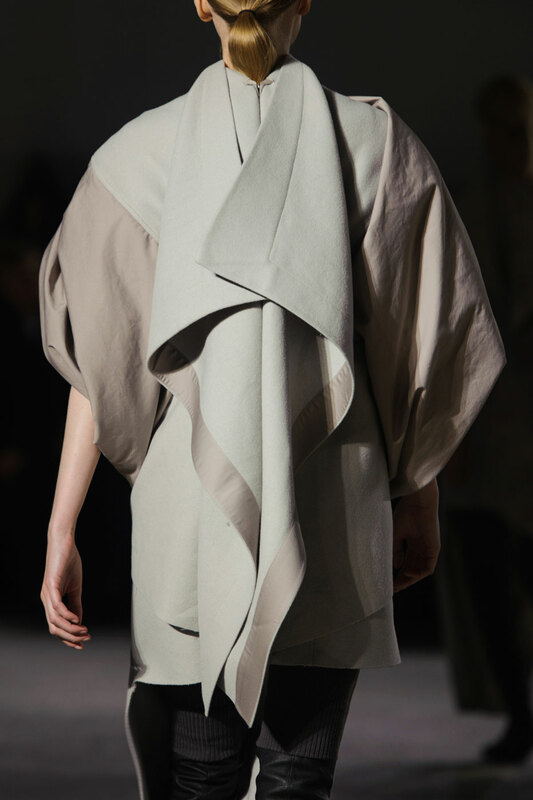 Models walked down the concrete catwalk of Palais de Tokyo in artfully wrapped draped woolly toga like creations that decorated models around their neck, shoulders and arms creating complex silhouettes. 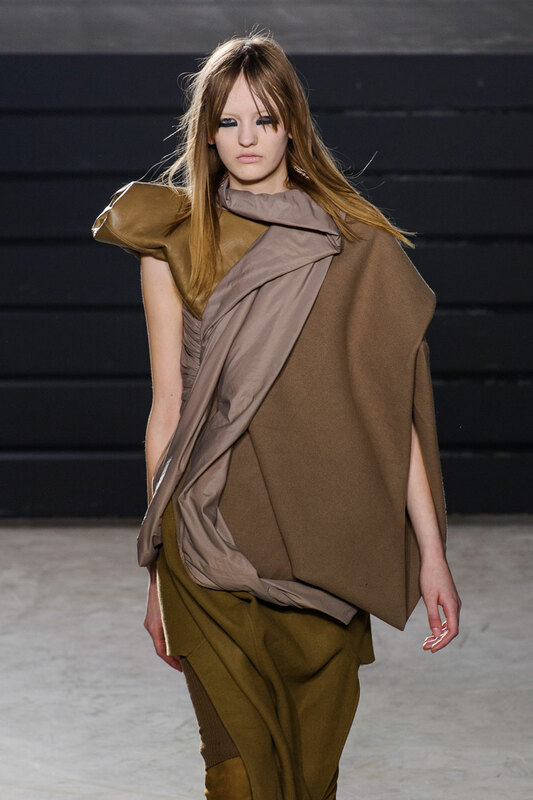 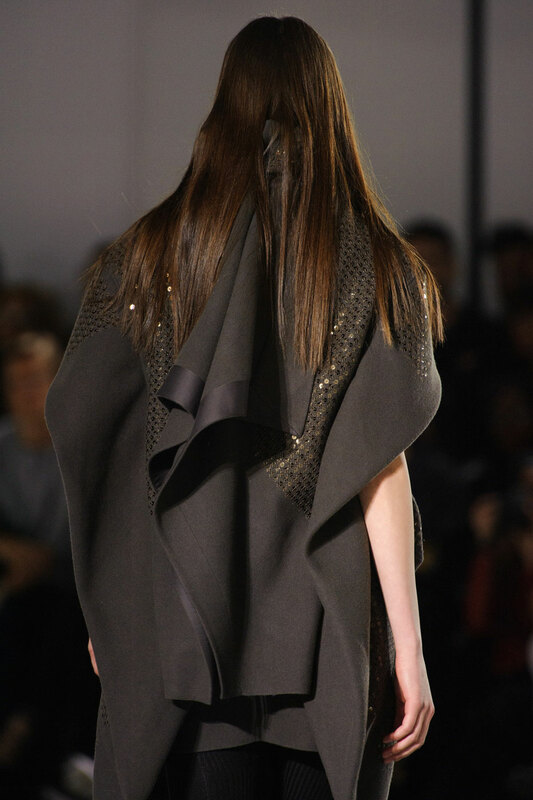 Blanket like tops swamped models and the front but secured into folds at the back, while skirts were hybrids of a maxi and mini, cut short in the back and long in the front. 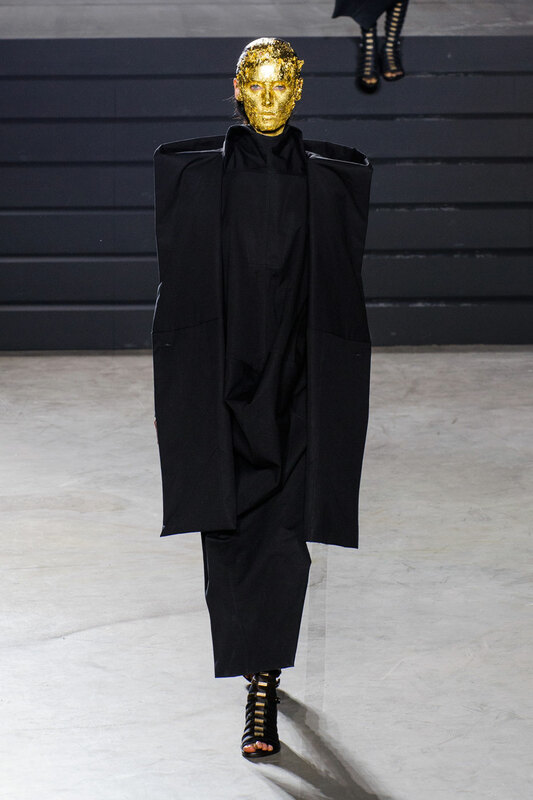 Sticking to his minimalist palette, the Californian fashion designer used a selection of mineral tones: black, charcoal grey, stone, beige and white. 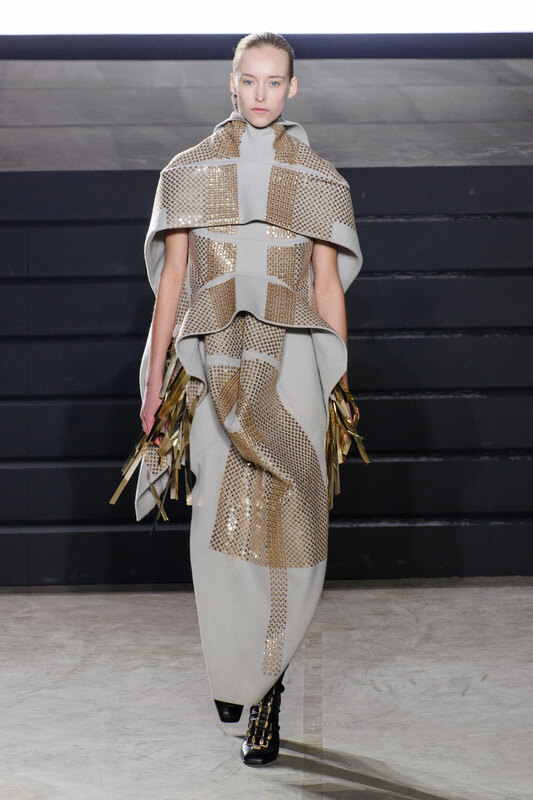 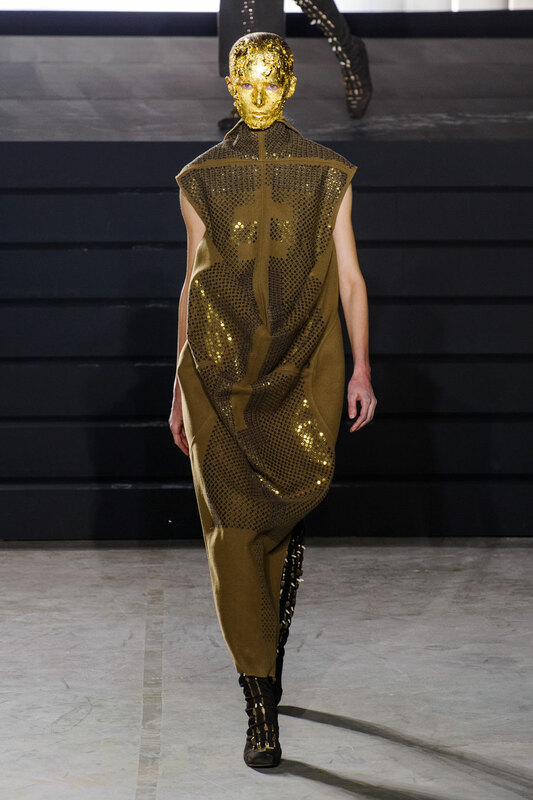 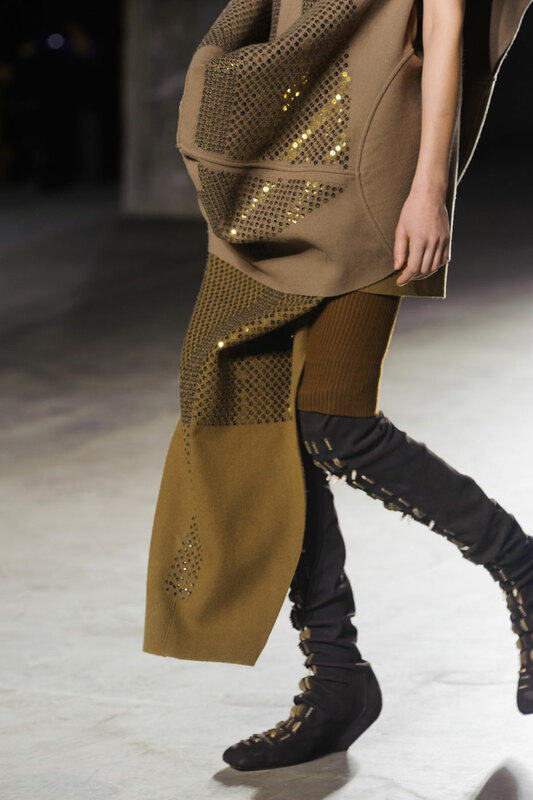 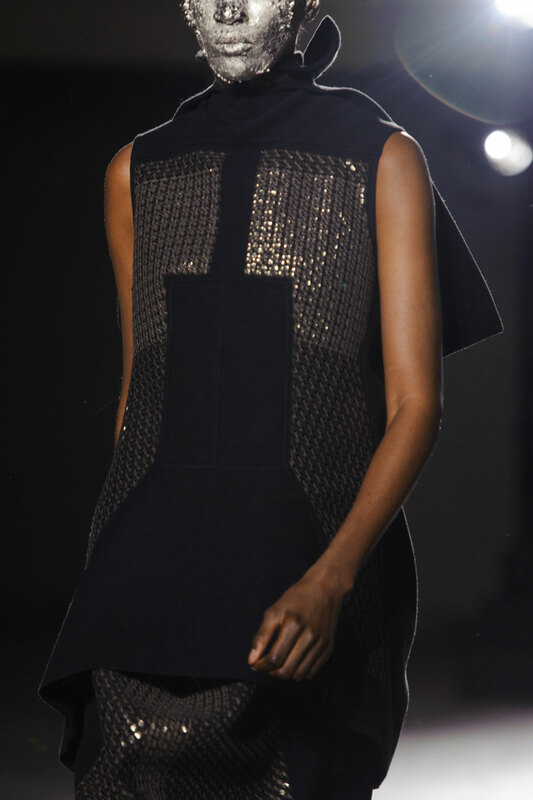 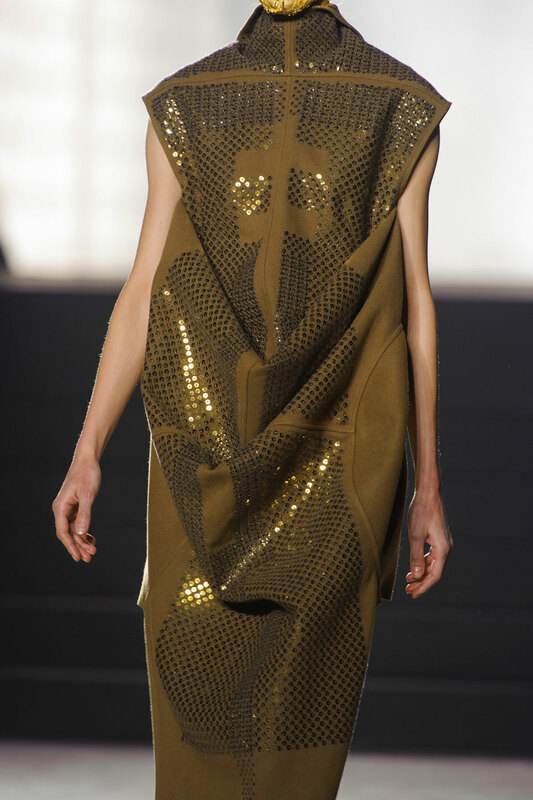 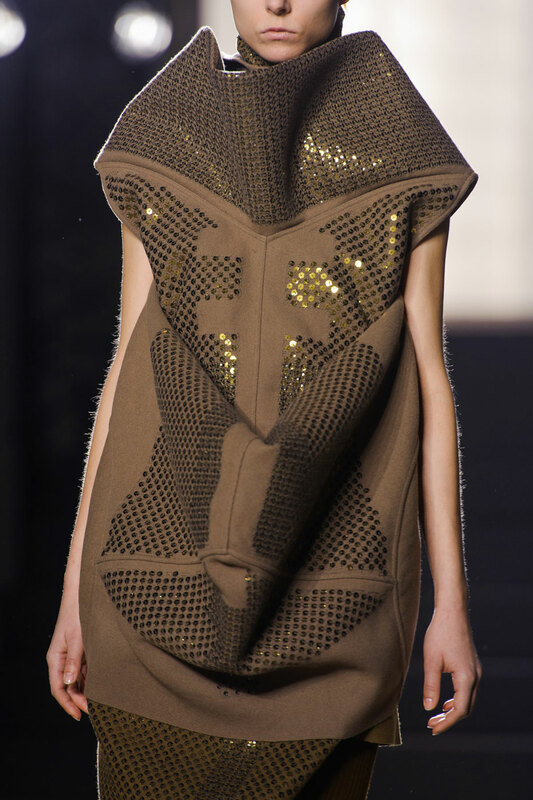 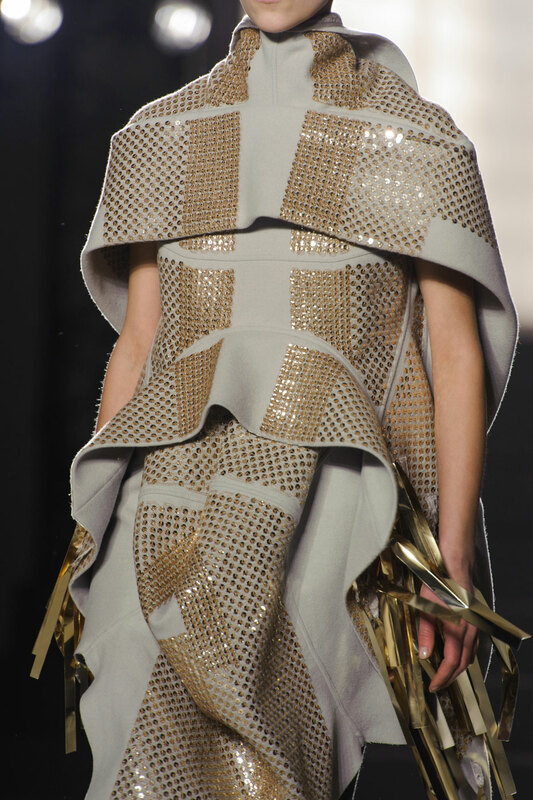 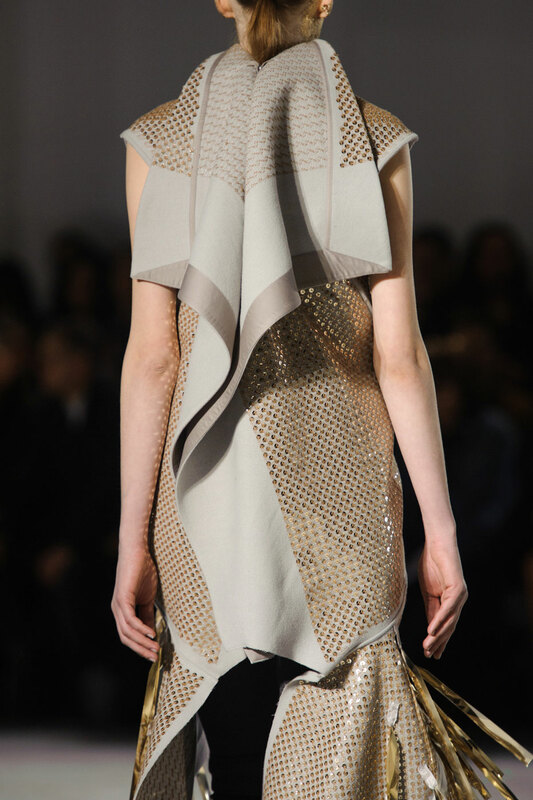 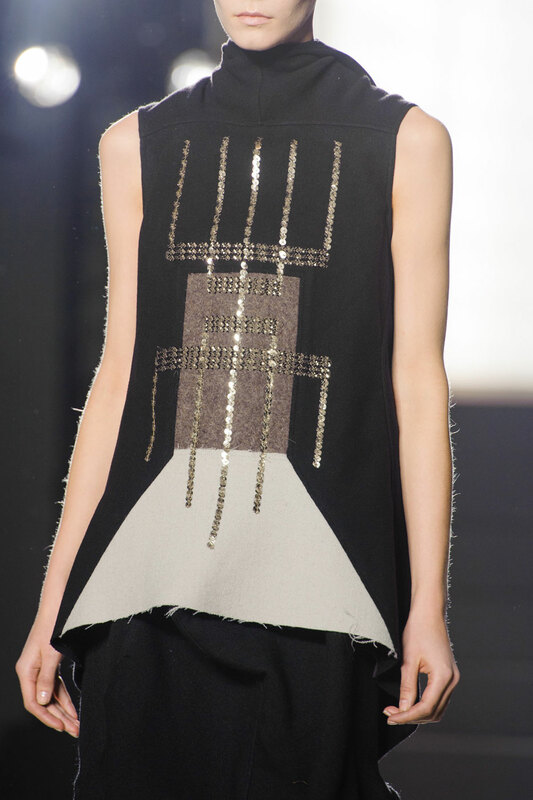 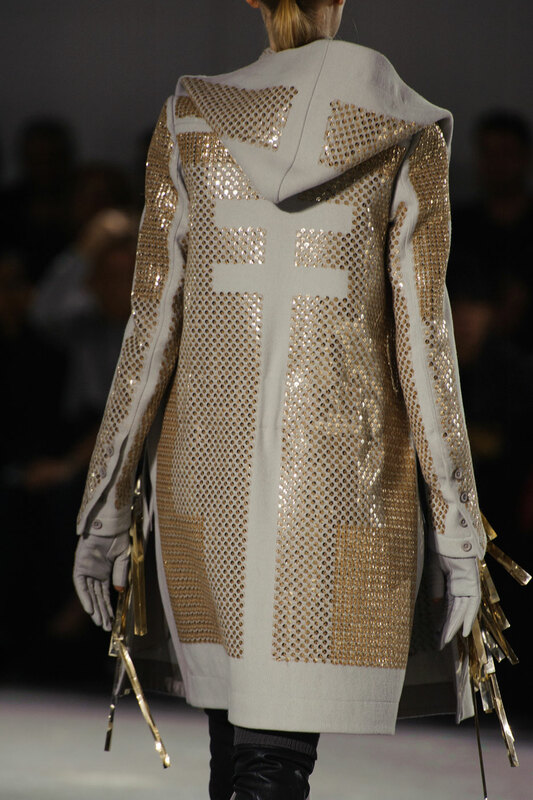 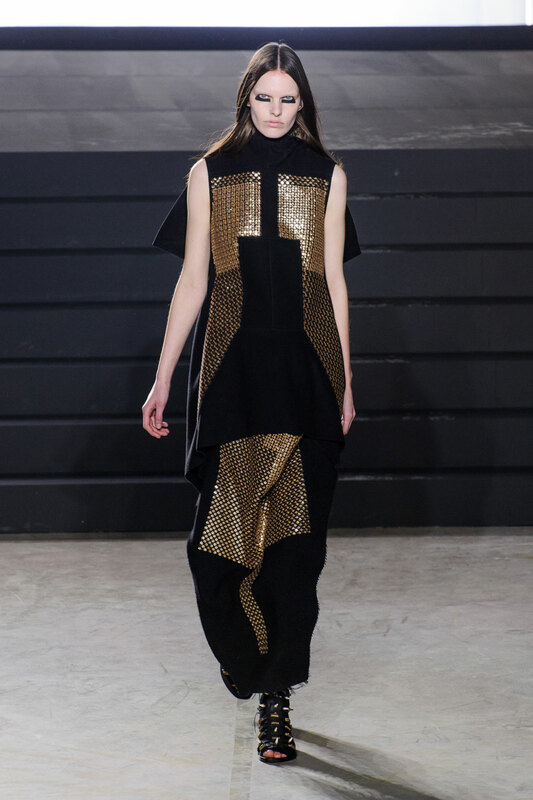 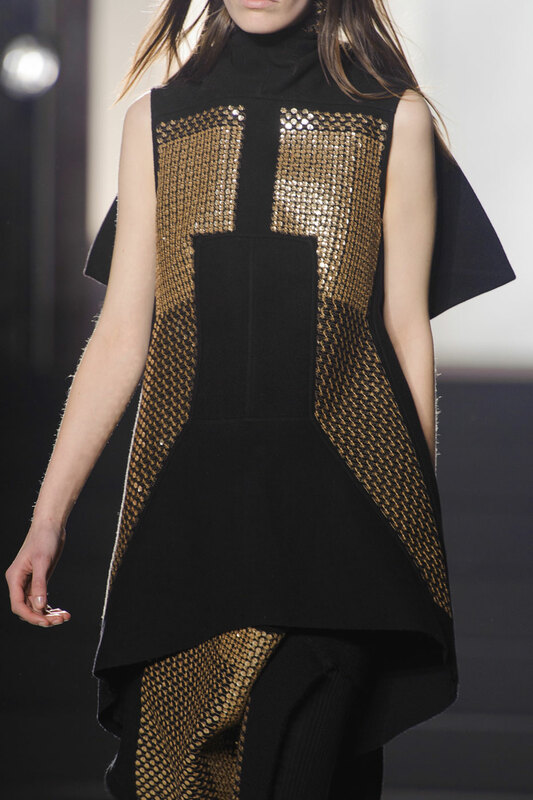 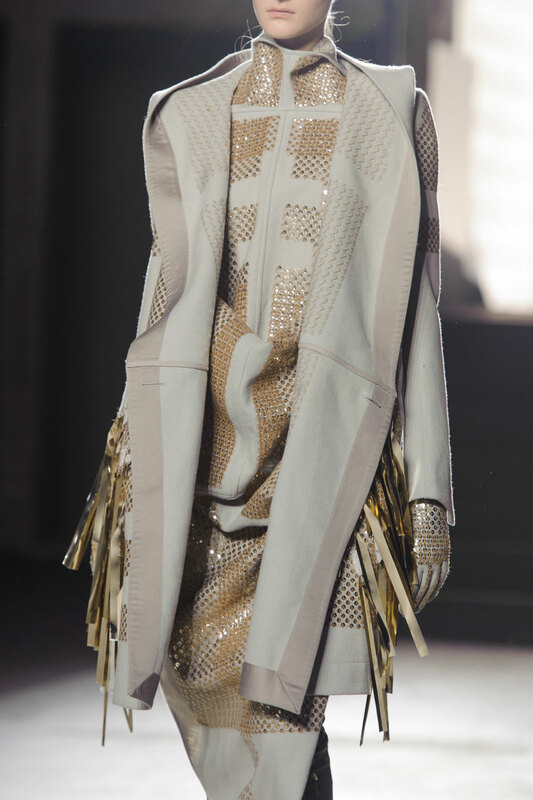 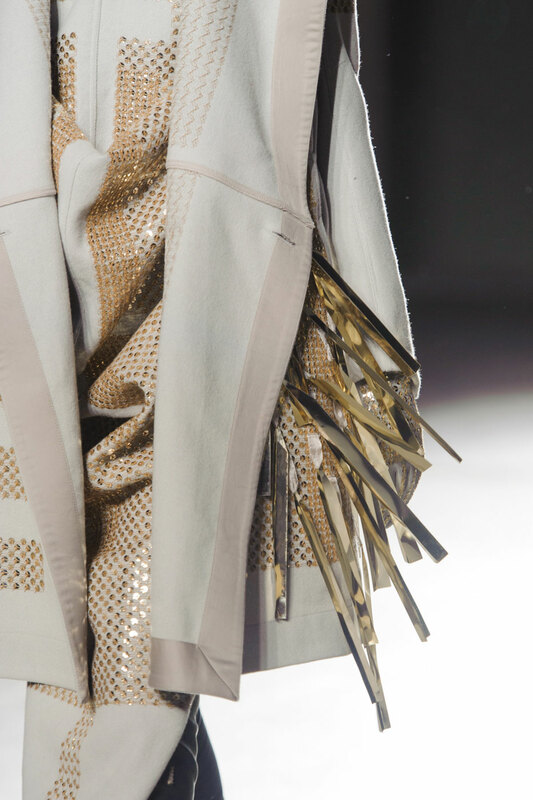 Gold and silver sequined accents lightly embellished the midsection of pieces. 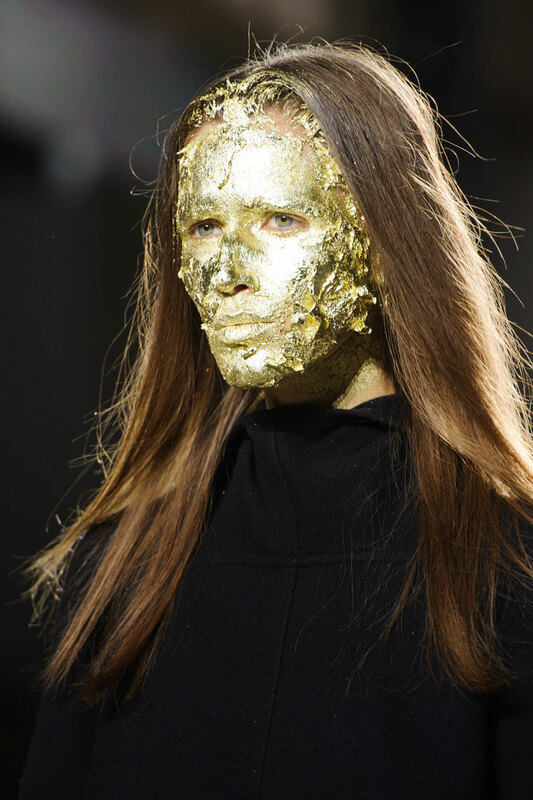 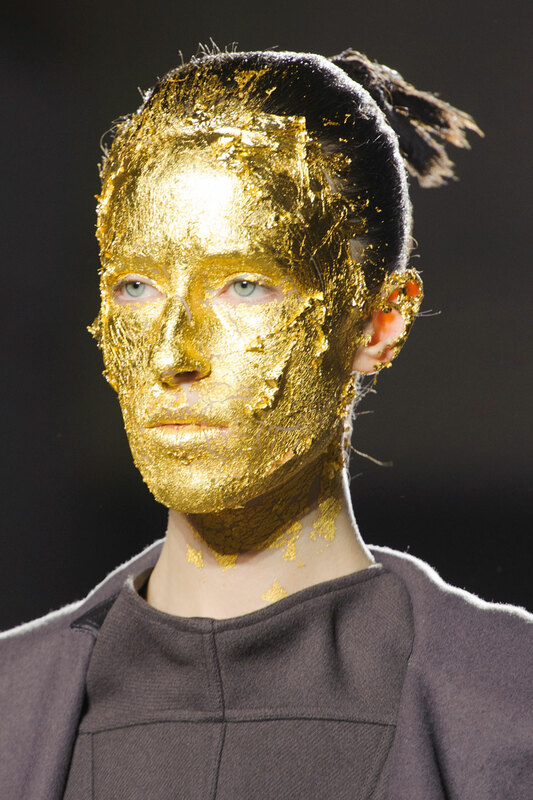 With the collection named “Sphinx” several model’s channelled Mayan goddesses in hairline –to-neck gold or silver leaf masks which enhanced the modern tribal theme. 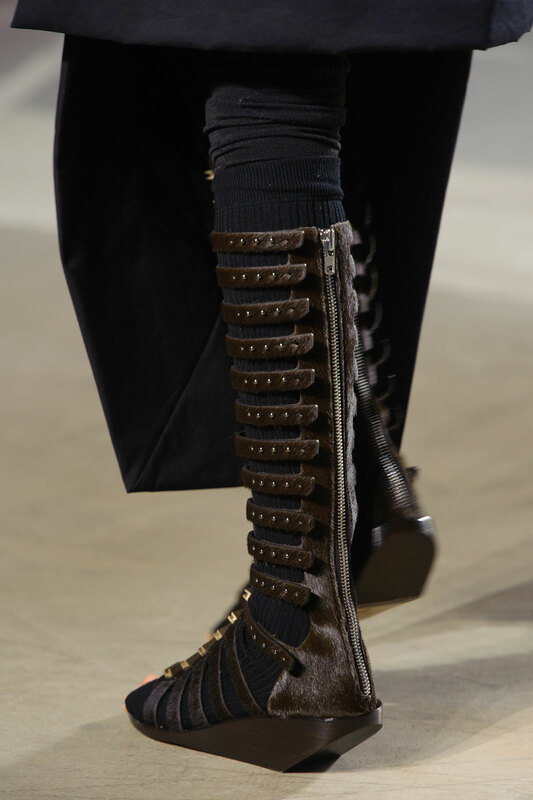 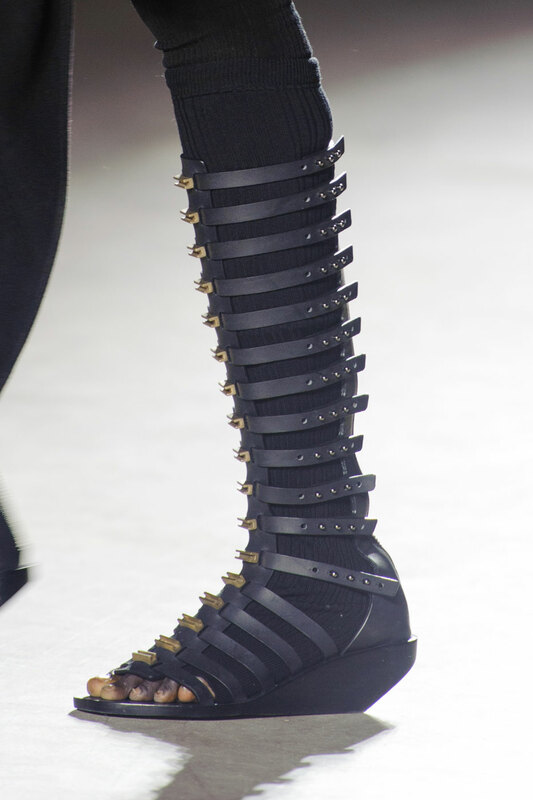 Accessories were kept to a minimal with black suede boots and gladiator sandals. 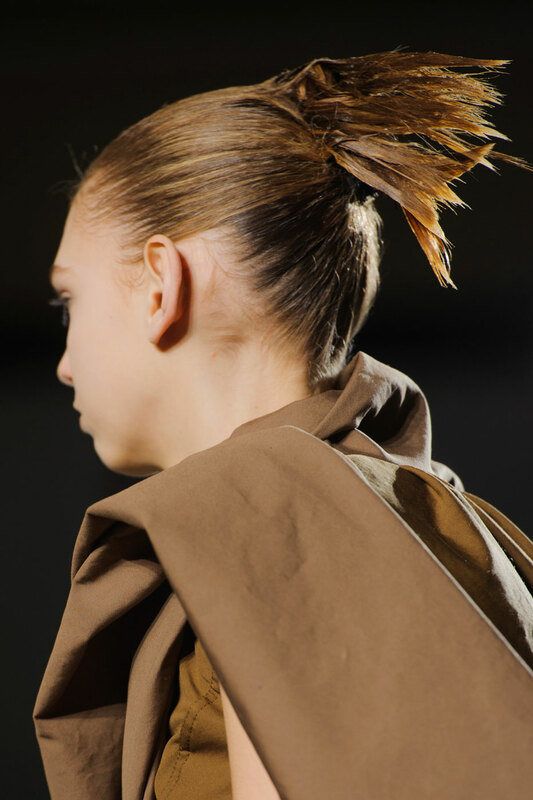 Hair and make-up was kept simple with the hair either being scraped back away from the face or fell loosely with a centre parting. 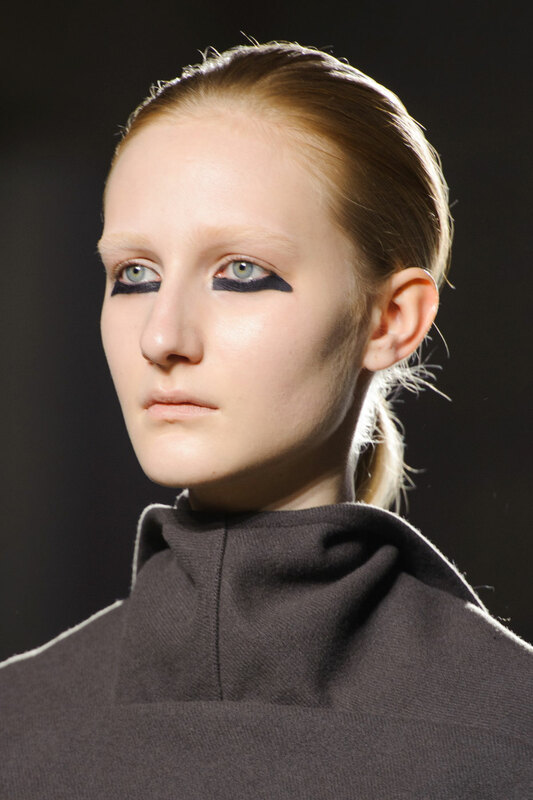 Some models also wore graphic eyeliner under the eye. 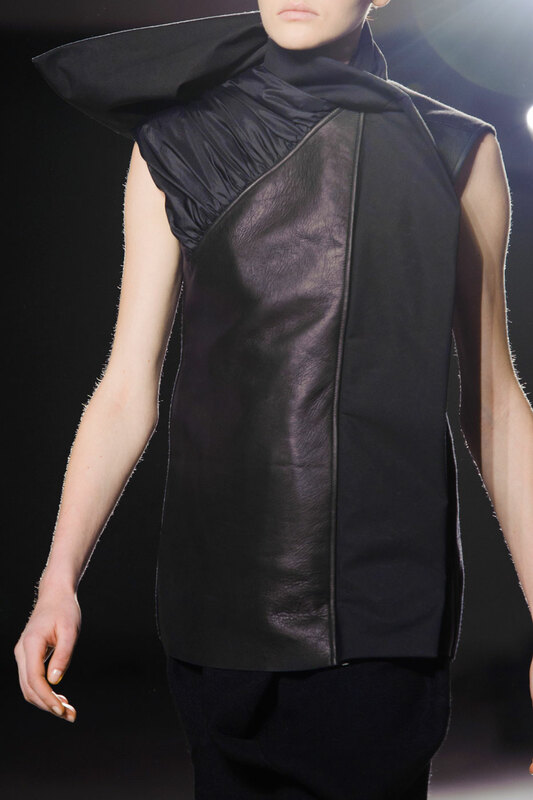 The world waits on for what he next has to offer.